As temperatures drop every winter and many parts of the country get colder and colder, it can sometimes be hard to motivate yourself to get out of the house instead of just snuggling up by the fireplace with a cup of hot chocolate. There are always places full of fun and happiness, however, no matter where you are or what time of year it is, and you’ll often find that some of the best fun can be had in the great indoors. From fascinating museums to world-class theater productions to top-notch indoor theme parks, there are all sorts of impressive destinations where you can stay safe from frostbite and freezing winds. While the great outdoors can be absolutely stunning in the winter time, sometimes there’s just more fun to be had indoors. For a great place to hide out when the temperature is too low, check out these 75 top destinations for fun indoors. A trip to Adler Planetarium is a must for any stargazer visiting Chicago. A national historic landmark, this public astronomy and astrophysics museum was the first planetarium in the country when it opened in 1930. Today, it contains amazing space science exhibitions, three full-size theaters, an impressive collection of antique scientific instruments, and more exhibits related to the study of space. It’s also home to the Doane Observatory, one of the only public city observatories that is actively engaged in research. Home to Harvard University’s Institute for Advanced Theater Training and the Harvard-Radcliffe Drama Club, the American Reportory Theater (A.R.T.) is one of the top theaters in the country. Known for putting on fantastic new American plays, exploring lesser-known older works, and reinterpreting classics, the not-for-profit, award-winning theater showcases the best of regional American stage dramas. Pennsylvania’s ski lodges are the ultimate winter destination, but Camelback Lodge in particular is great in case you’re ever sick of the cold. 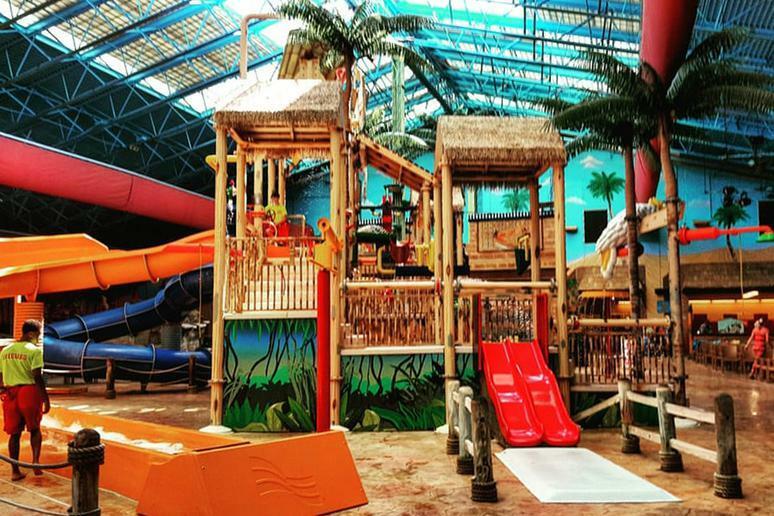 The resort has two waterparks, one of which is Aquatopia, a year-round indoor park home to 13 amazing water slides, seven pools, a swim-up bar, and multiple interactive playcenters. Located at the Mead Center for American Theater in Southwest Washington D.C., Arena Stage is a not-for-profit theater company that puts on shows for over 300,000 people every year. 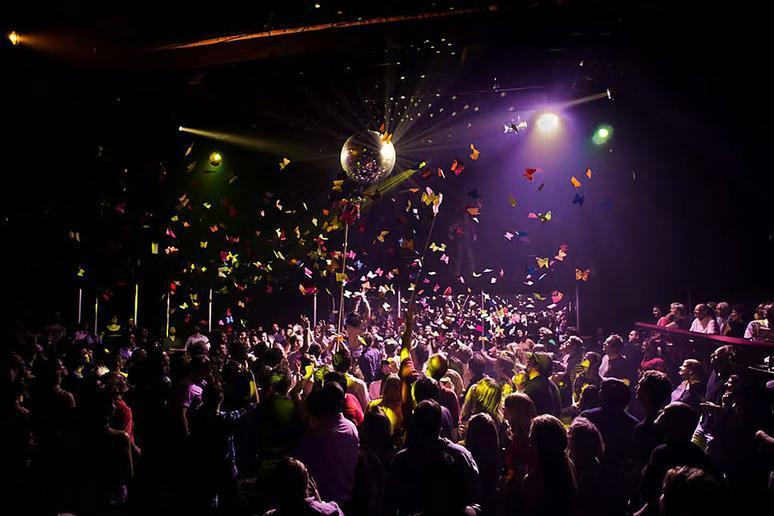 The award-winning theater company is the largest dedicated to American plays. 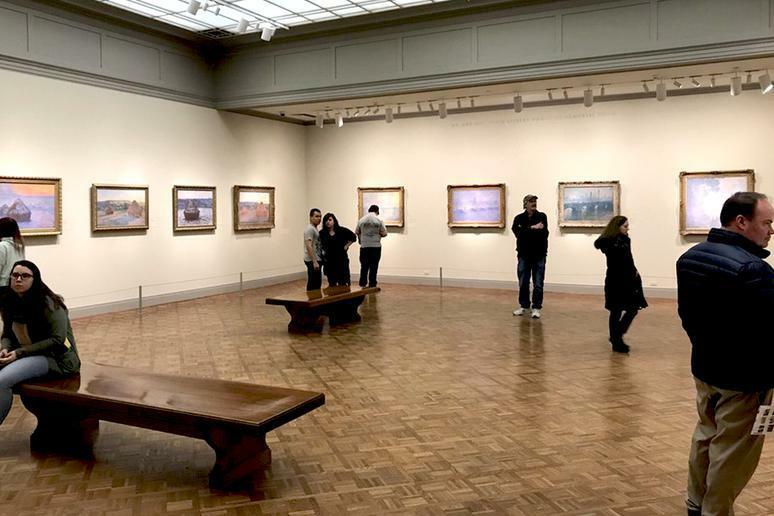 The best museum in the state, the Art Institute of Chicago has about 1.5 million people visit every year to see its permanent collection of 300,000 artworks plus over 30 yearly special exhibitions. One of the oldest and largest museums of art in the country, the Art Institute is home to iconic works such as Grant Wood’s “American Gothic,” Edward Hopper’s “Nighthawks,” and Georges-Pierre Seurat’s “A Sunday on La Grande Jatte,” as well as works by the likes of Claude Monet, Pablo Picasso, Vincent Van Gogh, Andy Warhol and Jackson Pollock. A great spot for agile, aspiring tightropewalkers of all ages — as long as you’re 48 inches tall, or 42 inches if accompanied by a chaperone — BeanStalk Adventure Ropes Course is a ropes course and zip line in which you’ll be walking about 12 to 24 feet above the ground, taking on crisscross angled rope ladders, zig zag beams, and spaghetti hand lines among other challenges. Children between the ages of two and seven can also take on a more age-appropriate course called BeanSprout. Enjoy a half-hour guided tour, as well as your favorite ice cream flavors such as Phish Food, Cherry Garcia, and Chunky Monkey at Ben & Jerry’s Factory, during which you can learn the company’s history and how they make their famous ice cream. Sample the flavor of the day, grab a swag bag, and visit their Flavor Graveyard where discontinued flavors have been “put to rest”. The factory also has a great gift shop and Scoop Shop for you get your favorite cone on the way out. You could have the best weekend of your life in Kansas City, but the area can get pretty chilly in the winter, so it’s best to find some things to do where it’s warmer. 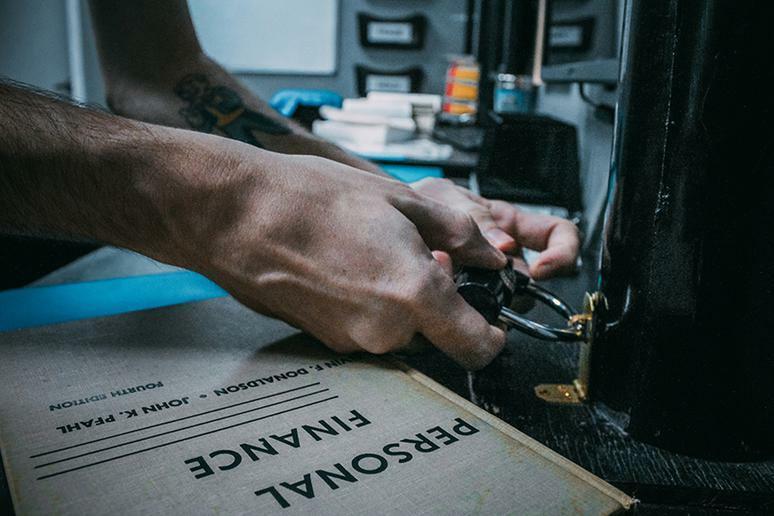 Possibly the best indoor activity in any city is an escape game, and Breakout KC really knows how to take guests on an adventure. Solve the most creative codes, puzzles, and riddles to get out of one of several themed rooms that range from a mission to win a presidential election to saving the world from a mad scientist. Catching a show on Broadway is one of those travel clichés that are actually worth experiencing, especially if you manage to nab tickets to a mega-hit such as “Hamilton,” “The Lion King,” or “The Book of Mormon.” The leading destination in the world of theater, Broadway has been home to the absolute best performances in the business for nearly a century now, and it’s an absolute must for any tourist in Manhattan. 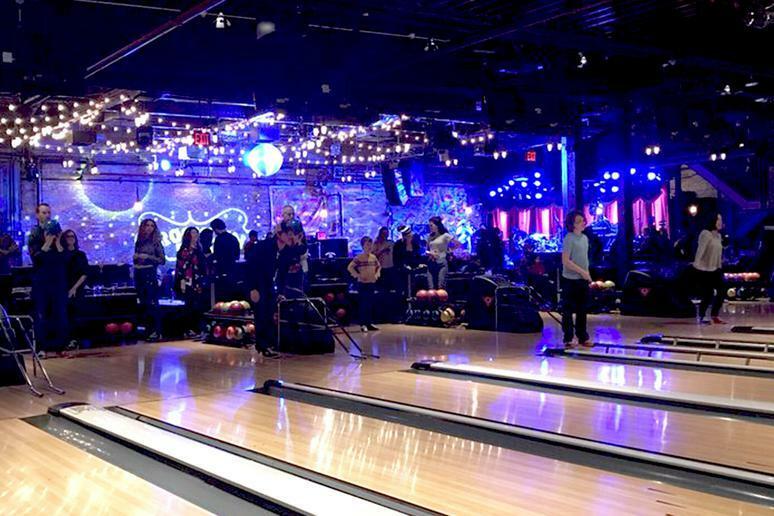 The first bowling alley in America, and possibly the world, to be LEED-certified, Brooklyn Bowl is not only known for being eco-friendly but for having some impressive musical acts play while you bowl down the 100 percent wind-powered lanes. Notable musical acts have included Guns N’ Roses, Snoop Dogg, Kanye West, The Roots, M.I.A. and Big Boi. An iconic Chicago landmark, the Chicago Theatre is a famous venue for stage plays, music concerts, stand-up comedy shows and other performances and talks. 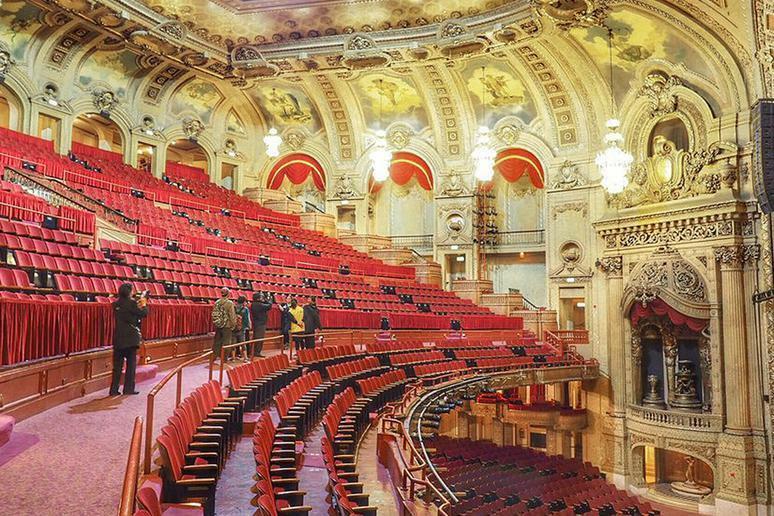 Not only does the theater host top acts from around the world, but its French baroque architecture is a sight to behold. 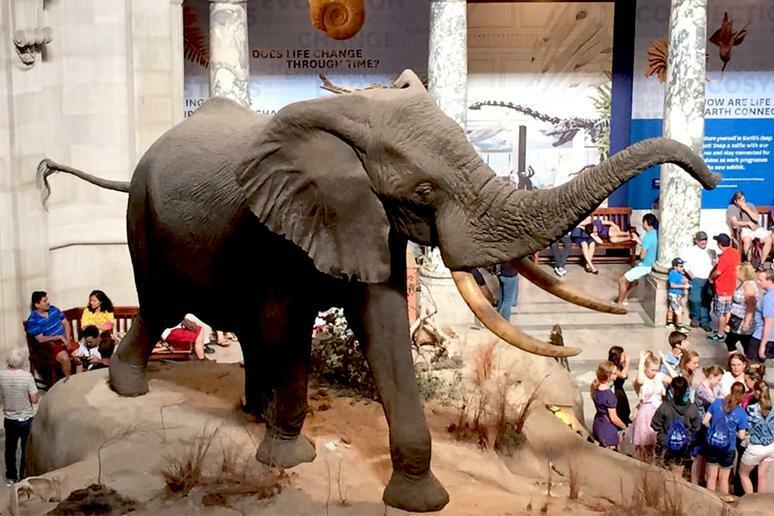 Indianapolis is home to the largest children’s museum in the world, which hosts a collection of over 120,000 exhibit items and artifacts pertaining to both American and world cultural and natural history. 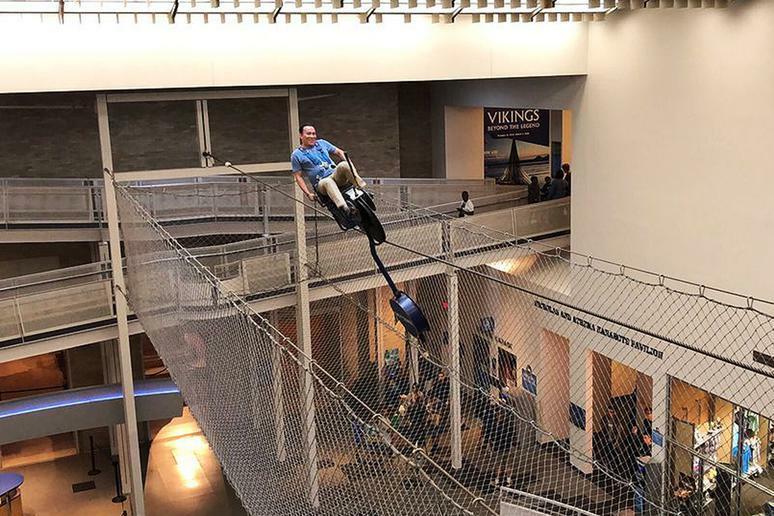 The Children’s Museum of Indianapolis draws in more than 1 million visitors every year to observe and interact with its exhibits meant for the entire family. 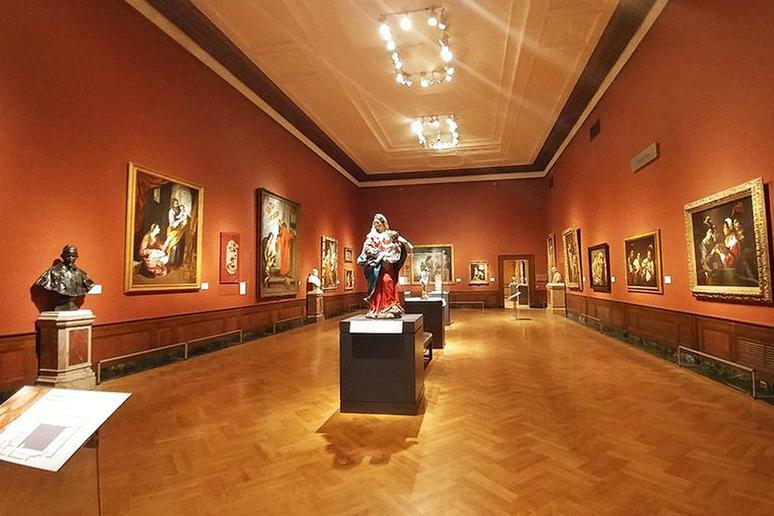 An unfortunately underrated city, Columbus has quite a bit to offer, and among its top attractions is the Columbus Museum of Art. With a focus on American and European contemporary and modern art, it notably holds works by Paul Cézanne, Edgar Degas, Claude Monet, Pablo Picasso and Norman Rockwell, among others. The first floor of the museum is also home to the Center for Creativity, a space in which museum visitors can enjoy additional galleries as well as hands-on workshops. 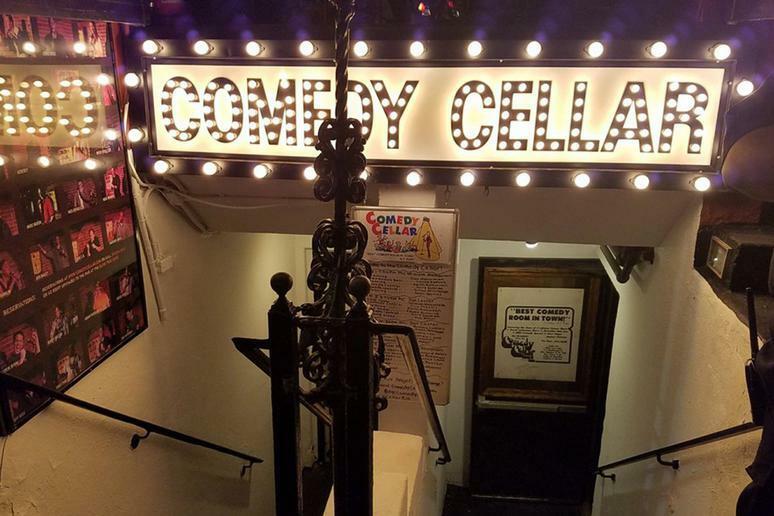 One of the most famous comedy clubs in New York City, the Comedy Cellar in Greenwich Village is a staple of the stand-up scene in Manhattan. Using a showcase format, most shows have five to seven comics performing sets of about 20 minutes each; regular performers include well-known comedians such as Dave Atell, Judah Friedlander, Darrell Hammond and Dave Chappelle. One of the reasons Denver is one of the best cities for winter travel is the high-quality entertainment one can find indoors. 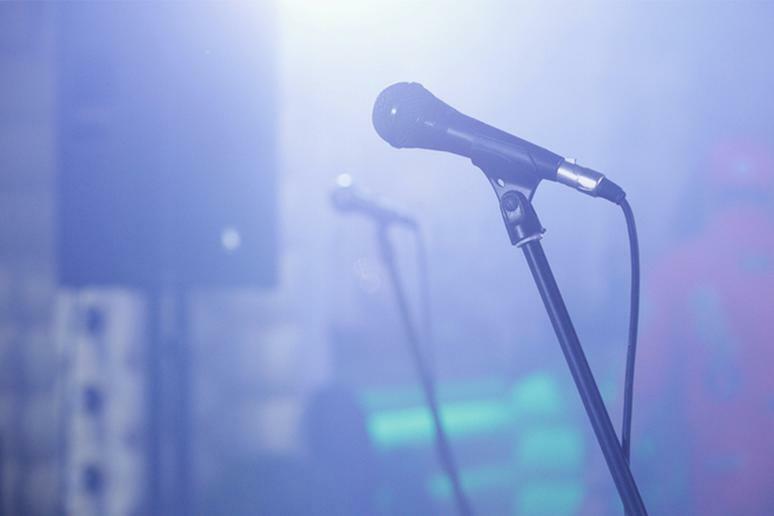 Located in Larimer Square in downtown Denver, Comedy Works is one of the country’s leading comedy clubs, having featured top acts such as Dave Chappelle, Chris Rock, Ellen DeGeneres, Jerry Seinfeld, Jay Leno, Lewis Black, and more. In addition to attracting the best talent from around the country, Comedy Works is also known for being a great place for local comedians to hone their skills, and it serves as a major hub for the Denver comedy scene. 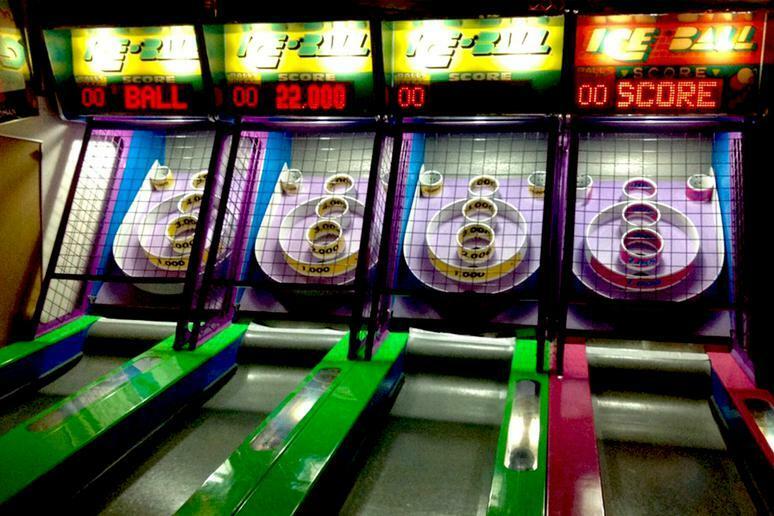 Dave & Buster’s is a chain that’s part arcade, part restaurant, and part sports bar, providing loads of indoor fun and games for adults. Each of its more than 120 locations in the United States and Canada serves food such as burgers, chicken, steaks, pastas, and desserts from early lunch time until late night, for you to enjoy as you take on their interactive games and simulators for some wholesome fun. America’s Comeback City is indeed back with a vengeance and is more than worth a visit as a destination. 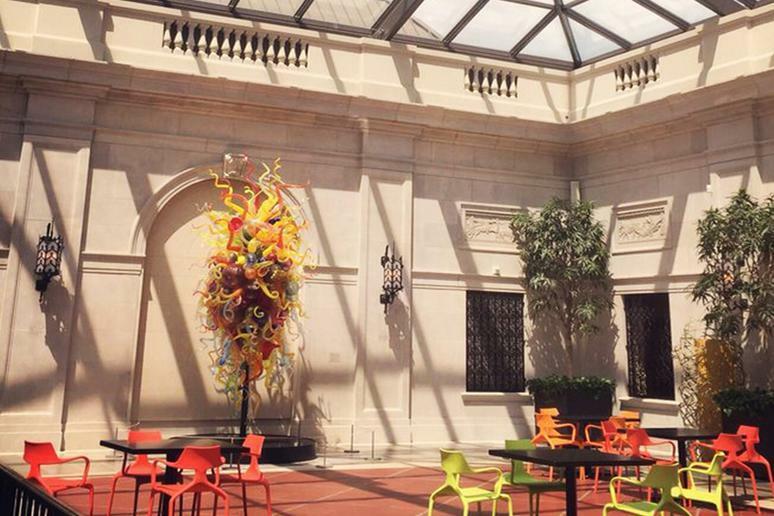 This top American museum is among the most visited art museums in the world, with one of the biggest art collections in the country. Its over 100 galleries contain works from all over the world and from ancient times to the present day, and the museum building itself is considered a significant piece of architecture in its own right. In addition to murals painted by Diego Rivera, the DIA is home to works by Jan van Eyck, Rembrandt, Edgar Degas, Vincent Van Gogh and Pablo Picasso, among others. One of the most haunted places in the world, the Eastern State Penitentiary is a former prison that was in operation from 1829 until 1971. 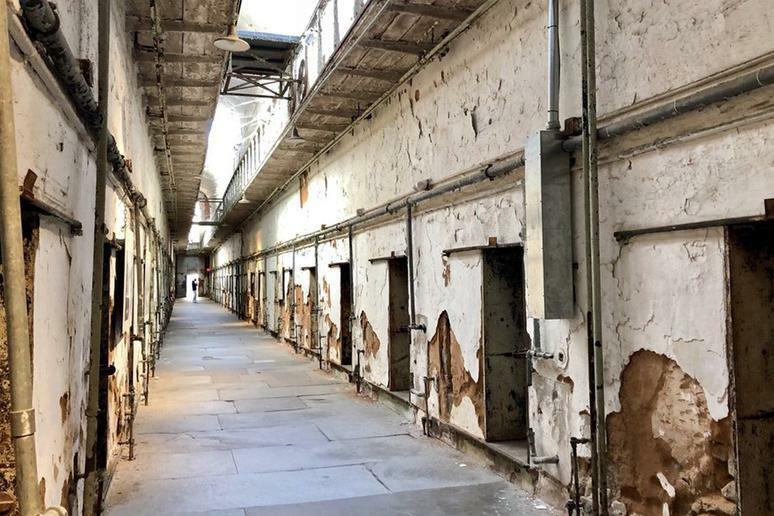 Among those once incarcerated here were famed gangster Al Capone and notorious bank robber Willie Sutton, and today it stands as an officially designated National Historic Landmark, open to the public as a museum for tours seven days a week. Come around Halloween, and you’ll find one of the scariest Halloween attractions in the country. This indoor park in southeastern Minnesota takes up a full acre and is operated by the city of Edina. Edinborough Park has a 250-seat Greek-style amphitheater, running track and fitness area, large swimming pool, and a huge indoor playground among other amenities. The pathways between each of these areas are beautifully landscaped with more than 6,000 flowers, trees, and other plants as well, ensuring you won’t feel too stir crazy staying inside. Boston is a great city for outdoor adventurers, but there’s plenty to do indoors when it gets chilly in Beantown. 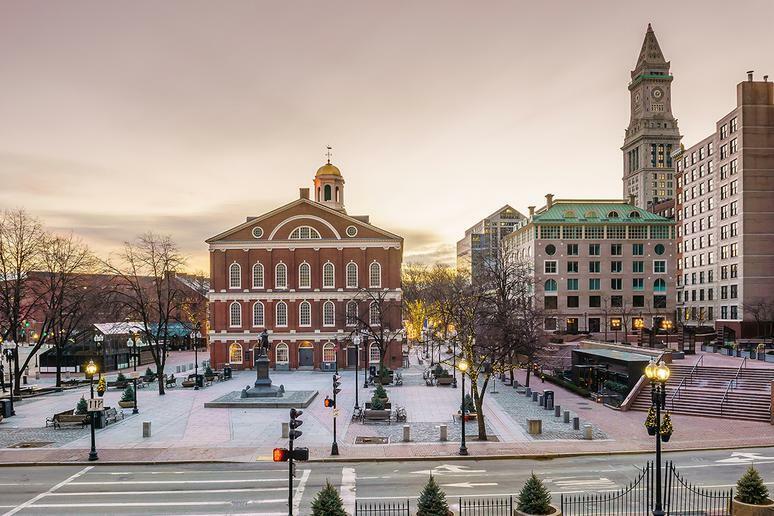 Right near the waterfront, you’ll find Faneuil Hall Marketplace, which consists of four historic buildings — Faneuil Hall, Quincy Market, North Market, and South Market — and contains an indoor mall as well as food halls. Try all sorts of foods, discover interesting trinkets, and enjoy this most historic location. Situated in Philadelphia’s Parkway Museums District, the Franklin Institute is a science museum, as well as one of the oldest centers of science education and research in the country. 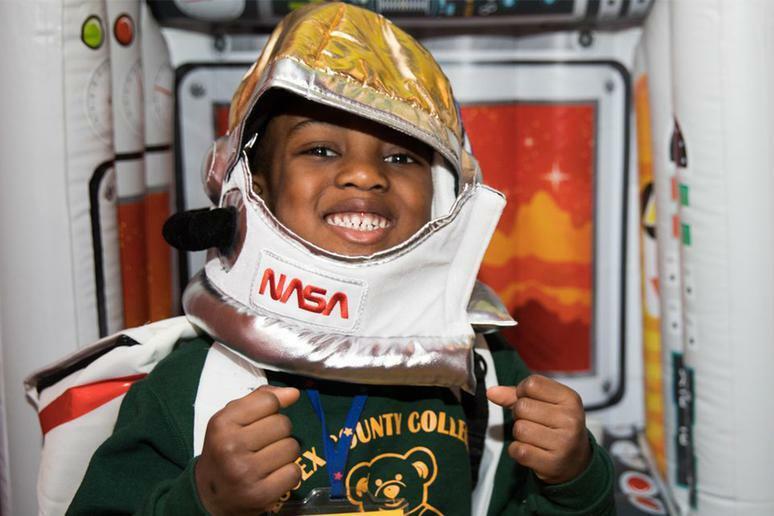 Named for American statesman, publisher and scientist Benjamin Franklin, the institute’s science museum is meant to encourage the spirit of learning and curiosity demonstrated by the famous Philadelphia resident. Among its many impressive permanent exhibits is a giant walk-through model of the heart, the largest collection of items from the Wright brothers’ workshop, and an interactive showcase about electricity that explores the history of Franklin’s discovery as well as modern-day uses through things like a sustainable dance floor and LED lights that turn on just by being near cell phone signals. 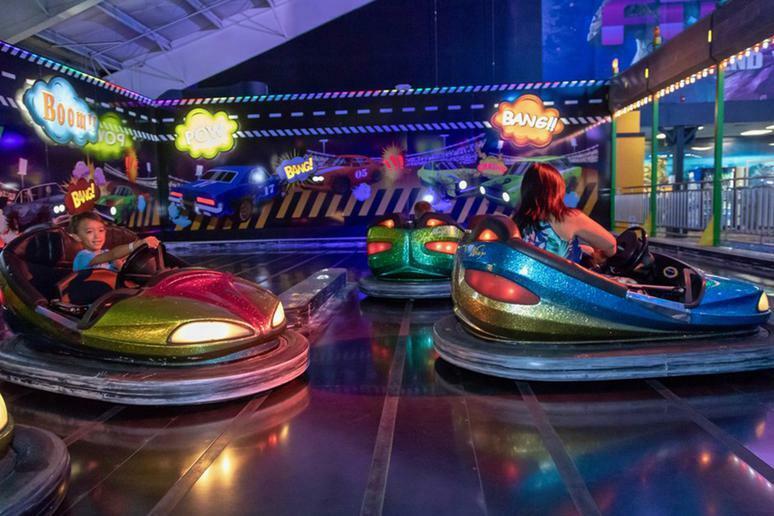 With two locations in New Jersey, the Funplex is an indoor amusement center that’s fun for the whole family. Not only does it have rides and arcade games, but the complex has go-karts, laser tag, bumper cars, and a 4D theater as well. 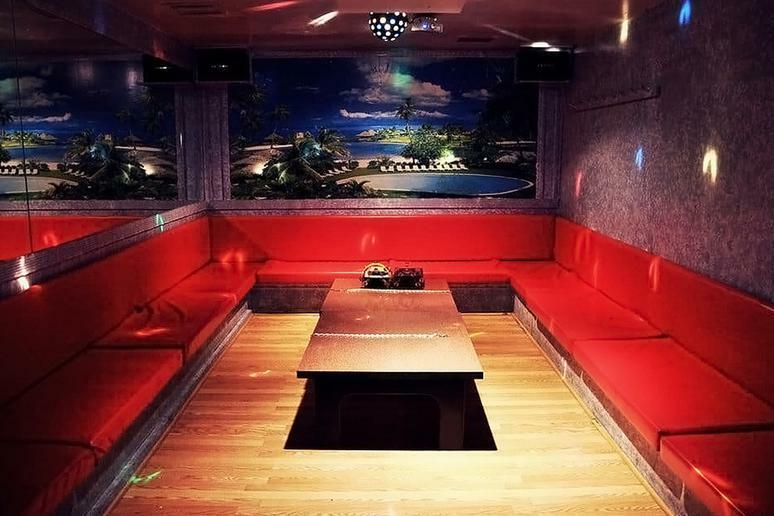 Karaoke is a great idea for a date night or a night out with friends, and Gagopa in New York City is an iconic spot located in Koreatown. Enjoy delicious Korean barbecue and wine or sake — if you don’t BYOB — in a private room and sing along to your choice of songs from an impressive list until as late as 4 a.m. in the morning. One of the best aquariums in the country, the Georgia Aquarium holds 10 million gallons of marine and salt water, within which it houses more than 100,000 animals from several thousand species, making it the largest aquarium in America (and the second largest in the world). 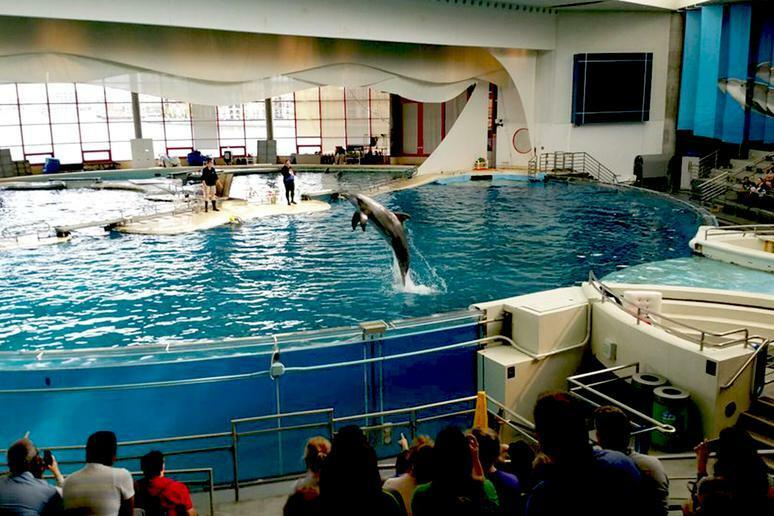 Notable residents of the Georgia Aquarium include beluga whales, bottlenose dolphins, California sea lions, manta rays, and whale sharks. 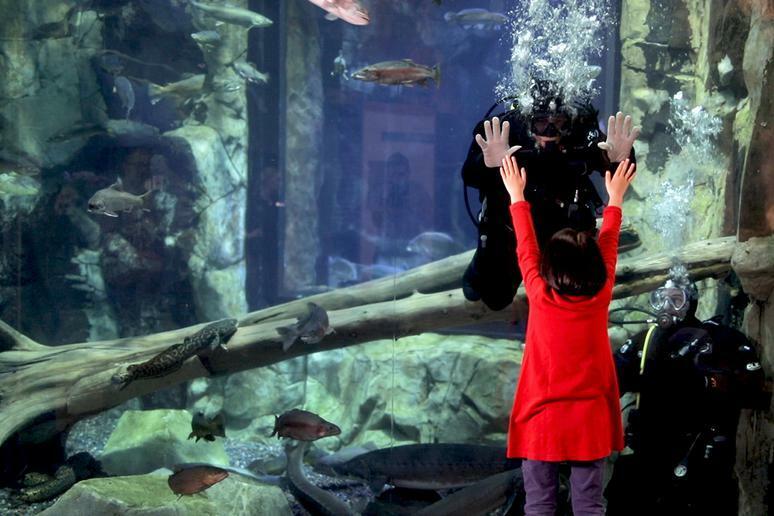 The only all-freshwater aquarium in America, the purpose of the Great Lakes Aquarium is to teach the public about the animals and habitats of the Great Lakes, as well as other freshwater ecosystems such as the Amazon River. Here you can discover and learn about 205 different species of fish, amphibians, birds, mammals, and reptiles, as well as the environment and wonders of nature around you. 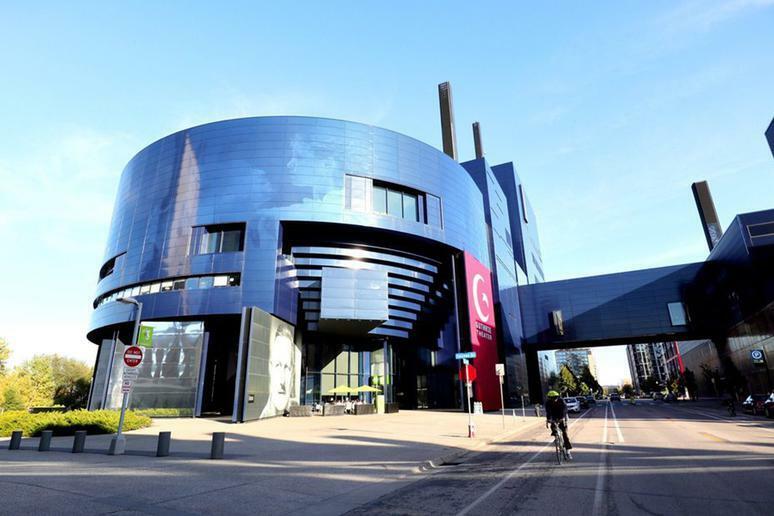 A leader in regional theater, Minneapolis’ Guthrie Theater is not only a venue for theater performances and production, but it’s also a top spot for theater education and training through summer camps, workshops, student matinees, and master classes. The not-for-profit theater hosts shows throughout the year, from classics to original productions. 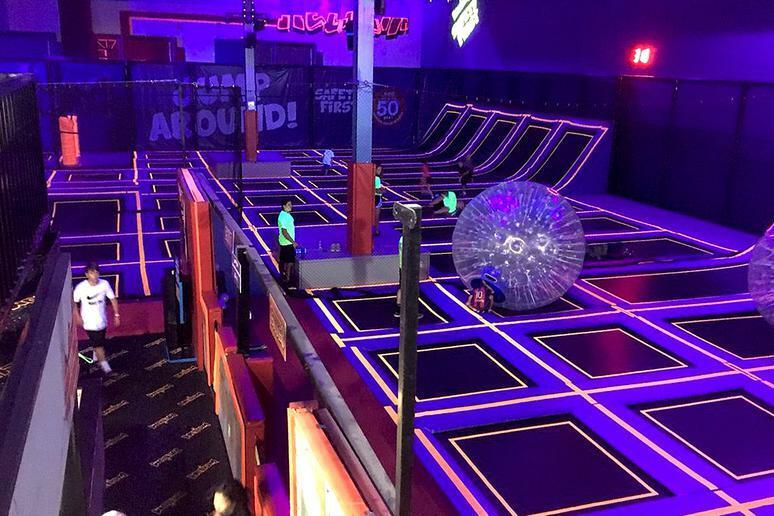 Trampoline parks have been a bit of a trend in recent years, and this one in southeastern Wisconsin is particularly impressive. 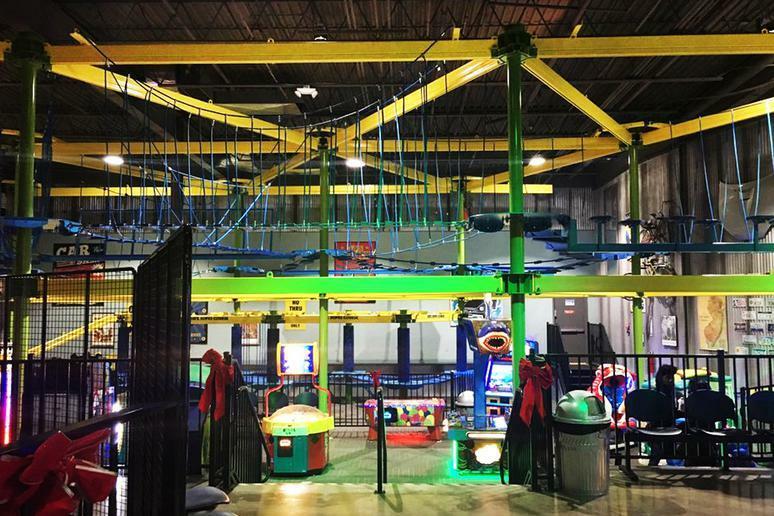 Known for hosting glow-in-the-dark parties, Helium Trampoline Park consists of over 130 interconnected trampolines. 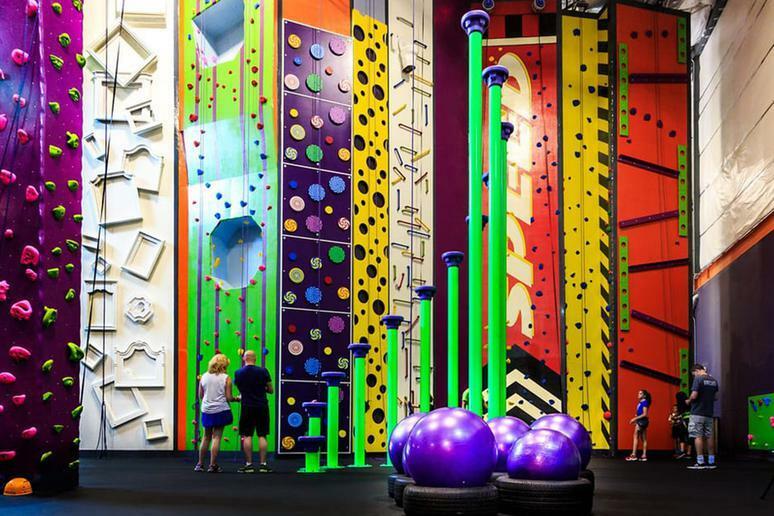 Guests can have all sorts of fun from playing extreme dodgeball and basketball to climbing a 30-foot LED-enhanced rock wall. Other attractions include an aerial ropes course, mini bowling lanes, a laser obstacle course and more. Also known as the Edison Institute or the Henry Ford Museum of American Innovation, the Henry Ford is an officially designated national historic landmark located outside Detroit, the car capital of the world. Founded by automobile industrialist Henry Ford himself, the museum is dedicated to celebrating and chronicling “authentic objects, stories, and lives from America’s traditions of ingenuity, resourcefulness, and innovation.” Among its many impressive displays are the chair Abraham Lincoln was sitting in when he was assassinated at Ford’s Theatre, John F. Kennedy’s presidential limousine, the Rosa Parks bus, Thomas Edison’s laboratory, and the Wright brothers’ bicycle shop. 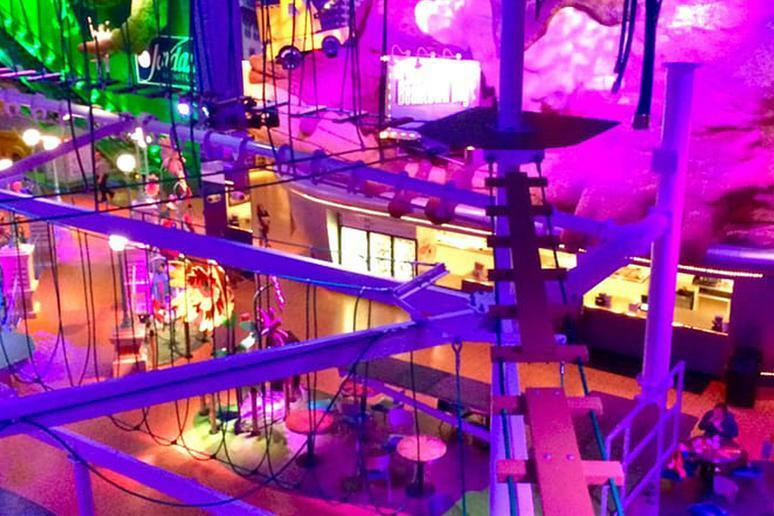 Billed as a “rock climbing, ninja warrior, Nerf, and parkour facility,” High Exposure is the ultimate indoor entertainment complex. Join their Ninja Warrior Camp and learn from actual contestants on American Ninja Warrior, take on the Nerf Arena, or sign up for their summer survival camp. With a location in Long Island City in Queens and another on Staten Island, Indoor Extreme Sports has an impressive array of adrenaline-inducing activities. 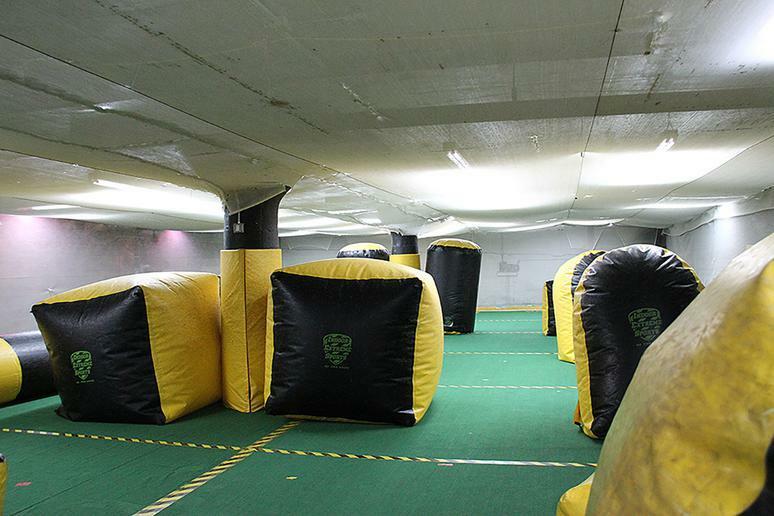 Choose from one of three unique laser tag experiences, go for indoor paintball, try your hand at axe throwing or archery, and much more. 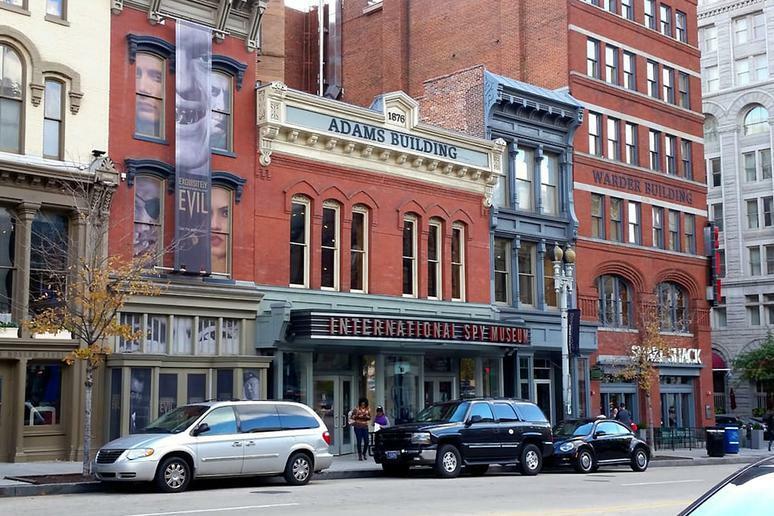 A private nonprofit museum dedicated to the history as well as present role of espionage, the International Spy Museum is the only museum on the planet that chronicles the profession of being a spy from a global perspective. It’s home to the largest publicly displayed collection of artifacts relating to espionage around the world. 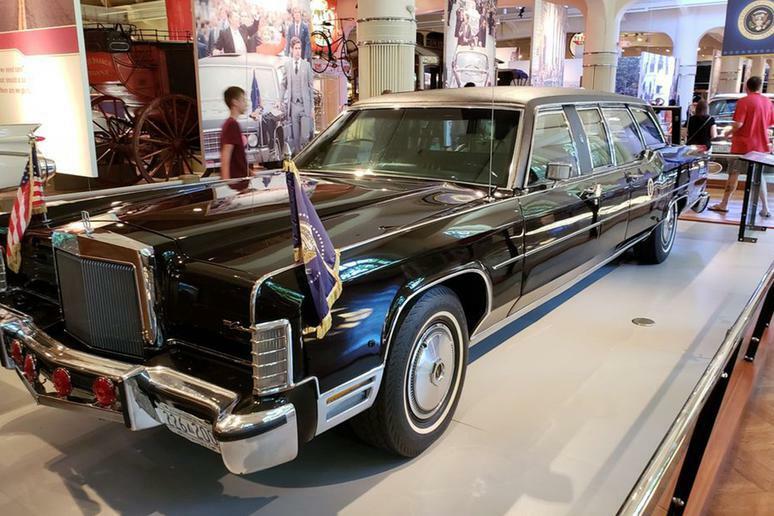 Exhibits go back to ancient empires and up through modern-day history, with special interactive exhibits and educational programs throughout the year. The largest indoor amusement park in New Jersey, iPlay America has over 200 games and rides, as well as laser tag, go-karts, bumper cars, carousel, ropes course, mini bowling, and a 4D theater. There’s also a full-service bar and grill for when all the fun and games makes you hungry. 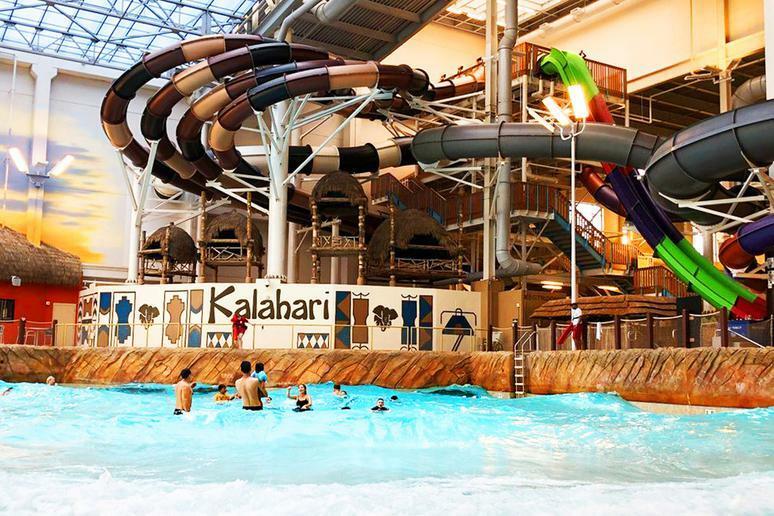 Kalahari Resorts & Conventions has multiple locations known for the giant waterparks, but their resort in Pennsylvania’s Poconos is especially notable. Zoom down intense waterslides, enjoy a 5-foot wave simulator, cruise down a lazy river, and enjoy both indoor and outdoor spas. 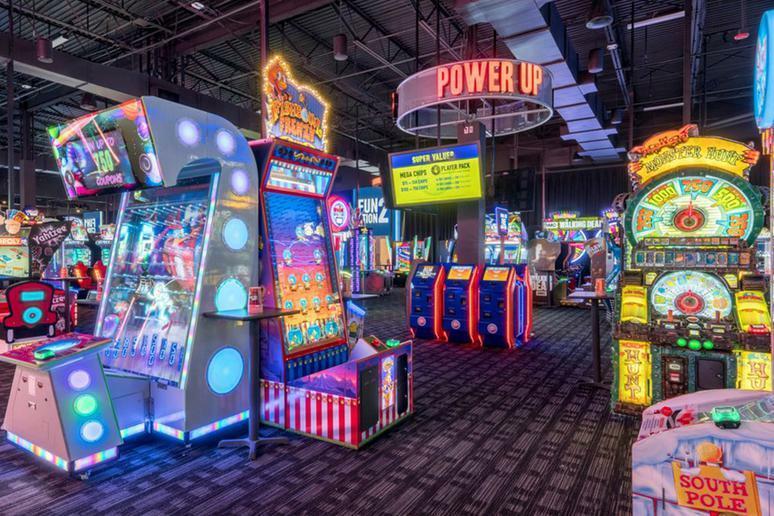 Their Big Game Room has plenty of arcade games, boardwalk games, and simulators, and other activities at the resort include a 7-D motion theater, mini bowling, escape rooms, black light mini golf, and virtual reality experiences. The second largest mall in America, the King of Prussia Mall is located in the Philadelphia area and hosts about 25 million visitors annually. Its nearly 3 million square feet contain seven major department stores and more than 400 shops and restaurants, with four food courts. 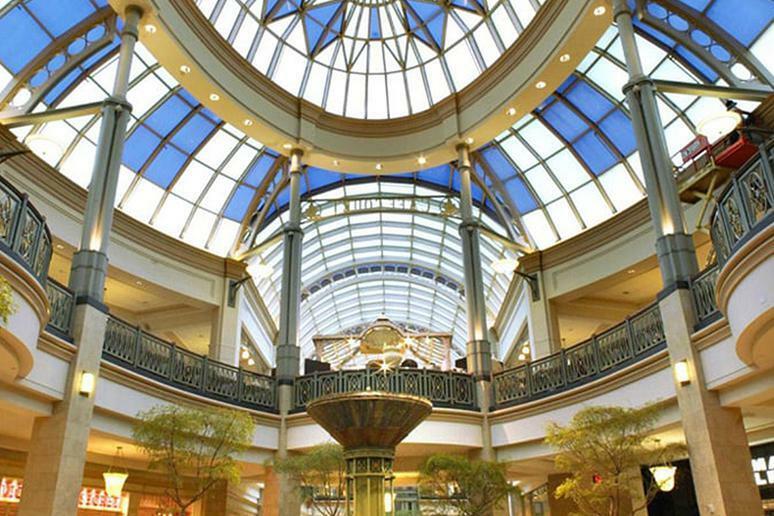 There are so many options for shopping and entertainment here that it’s been estimated that approximately 20 percent of shoppers are tourists and many hotels in the area offer their guests mall tourist packages, which often include gift cards for King of Prussia Mall. There are now many high-profile, award-winning escape games, but Komnata Quest in particular shines among the pack. Using state-of-the-art technology, truly creative set designs, and fantastic storytelling, Komnata presents 60-minute games that provide a truly fantastic escape. 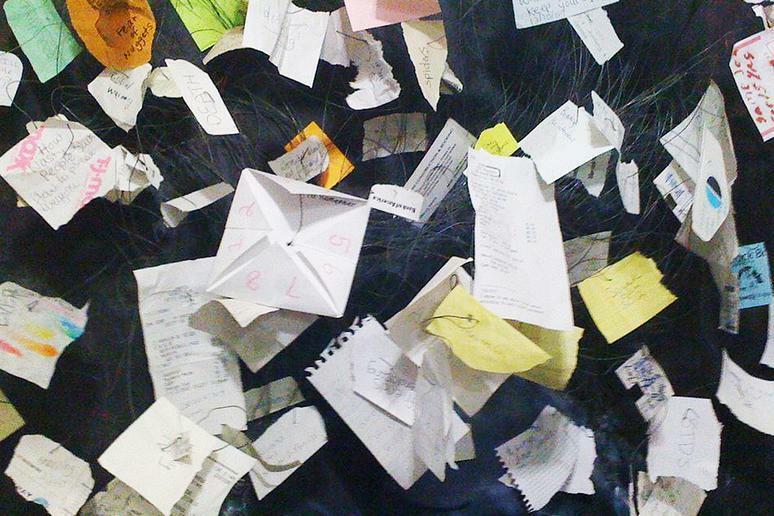 Some games lock participants within a room with all kinds of puzzles and codes to figure out in order to set themselves free, while some simply set a task for the group to complete. With locations in New York, Boston, Philadelphia, San Antonio, Los Angeles, and San Francisco, the company’s particularly notable games include Maze of Hakaina, Boxed Up, and Doctor Frankenstein. Hanging out with cats is a great way to reduce stress and anxiety, and at Koneko, you can cuddle with a cat while enjoying a cup of coffee or a glass of sake. Inspired by Japanese cat cafés — Koneko means “kitten” in Japanese — this café and sake bar on Manhattan’s Lower East Side has a Japanese-influenced menu that also includes beer, sake, and wine, as well as the chance to hang out with about 20 cats, all of whom are adoptable. 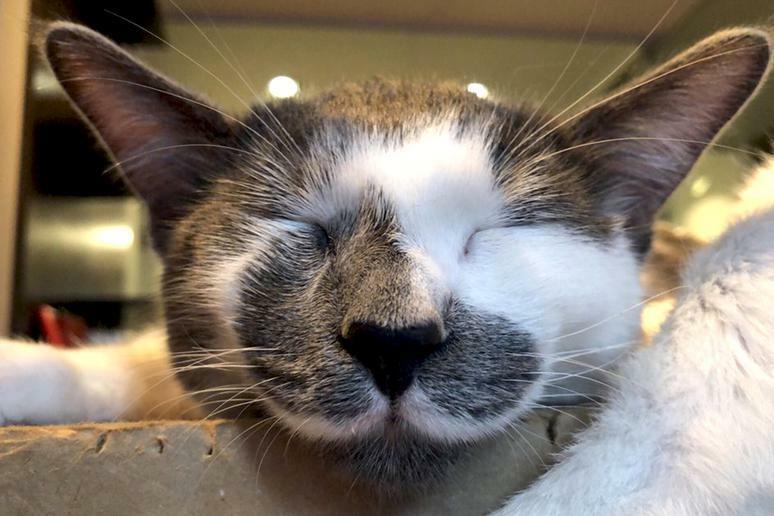 Their main mission is to find “furrever homes” for cats who have previously been on the “at-risk” list, meaning they were scheduled to be euthanized before being rescued by Anjellicle Cats Rescue, which partners with the café. 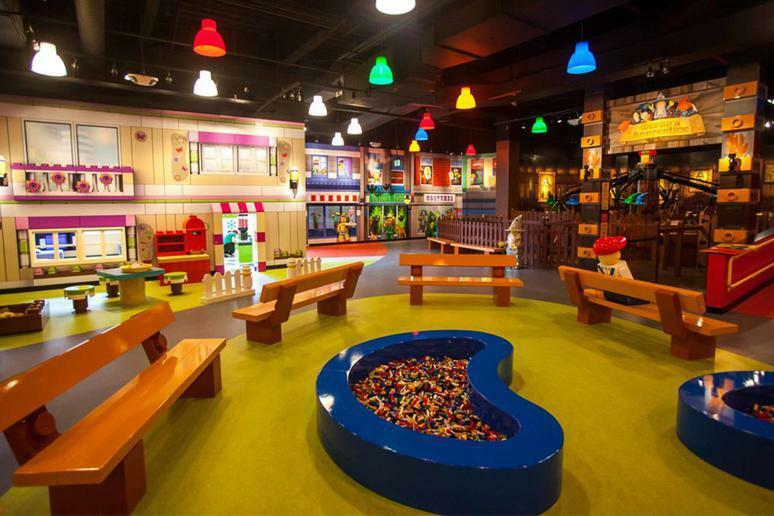 With at least 11 locations through America and more throughout the world, Legoland Discovery Center is an indoor attraction perfect for the whole Lego-loving family, and each center is basically a smaller version of the Legoland theme parks. A playground full of Legos, each Discovery Center features models and attractions inspired by Legos, and most include “MINILAND,” an attraction with models of local landmarks made out of Legos. Learn how Lego bricks are made or take building classes with a Master Model Builder to hone your skills. Kids can also play on small rides and fortresses, and some locations also feature a 4D movie theater to take the experience to the next level. Discover your love of science at Jersey City’s Liberty Science Center, an interactive science museum and learning center within Liberty State Park. 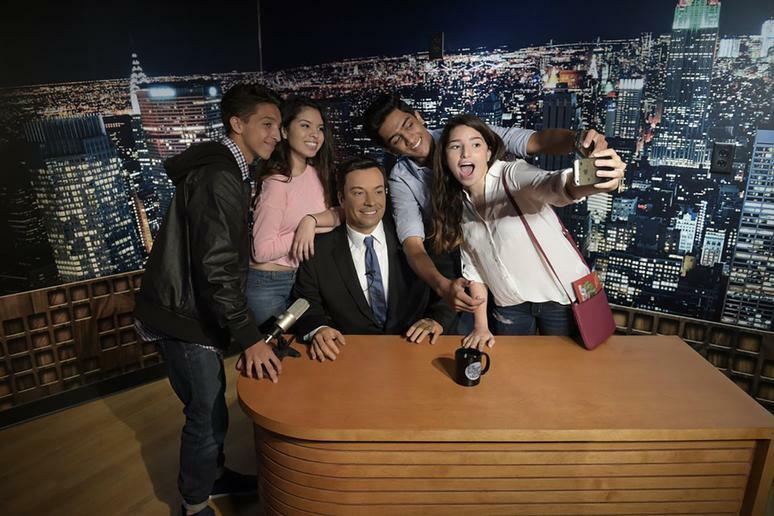 Enjoy an impressive array of science exhibits, as well as the Jennifer Chalsty Planetarium, which has 400 seats and a 100-foot-diameter dome; serving as a major IMAX theater for the area, it happens to be the largest planetarium in the Western Hemisphere. 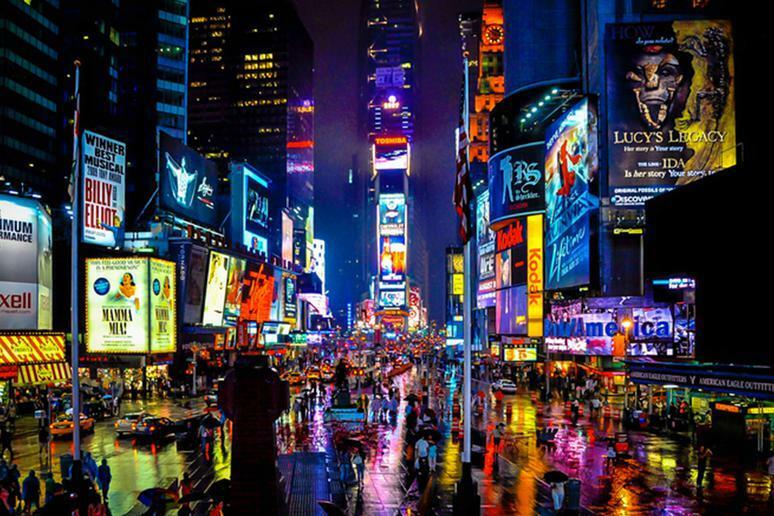 There are multiple Madame Tussauds locations throughout the country and the world, with the original being in London, but possibly the most popular in the U.S. is the iconic Times Square location. Explore its five floors and pose with wax renditions of your favorite celebrities, icons, and characters, such as Leonardo DiCaprio, Angelina Jolie, Rihanna, Lionel Messi, Muhammad Ali, Barack Obama, Albert Einstein, Anderson Cooper, Marilyn Monroe, Spider-Man, E.T. and more. There are over 200 figures in total at this location, and new wax figures are frequently added. Whatever you’re there for, chances are if you’re at Madison Square Garden, you’re in for a good time. The multi-purpose indoor arena is an iconic New York City spot located in Midtown Manhattan and sitting right over Pennsylvania Station (making a trip here super-convenient for those coming from the surrounding areas). 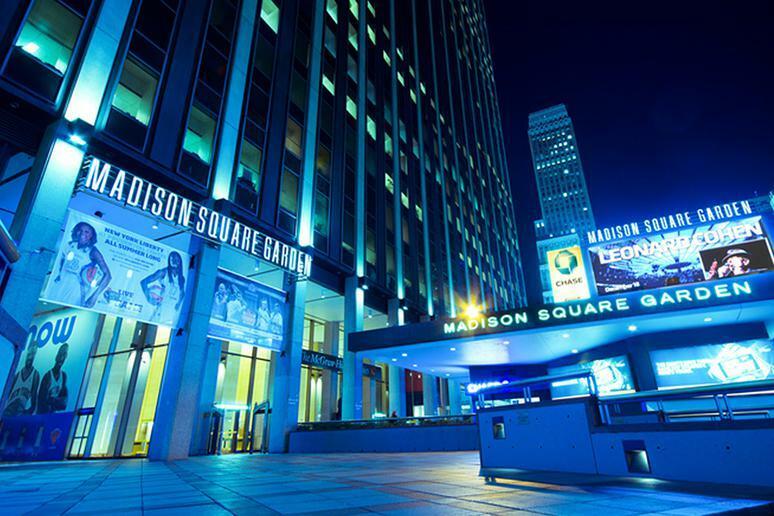 Home to the New York Rangers and the New York Knicks, it’s a prime ice hockey and basketball venue, but also often hosts concerts, circuses, boxing matches, ice shows, and other sports games and entertainment. America’s biggest mall is aptly named the Mall of America, located in Bloomington, a suburb of the Twin Cities. With 96.4 acres of retail space, it’s big enough to fit seven Yankee Stadiums, and has more than 530 stores. 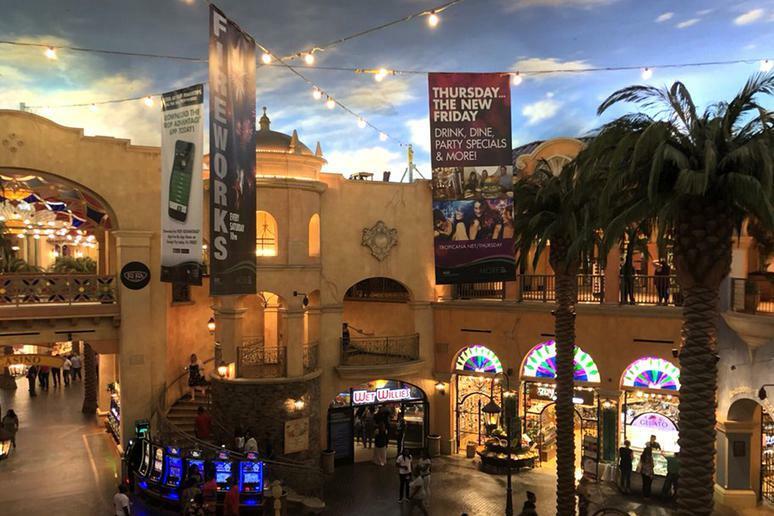 The fun here isn’t just limited to shopping, however — there are two food courts, mini-golfing and a Crayola Experience, as well as movie theaters, an aquarium, a comedy club and a virtual reality sports entertainment center. 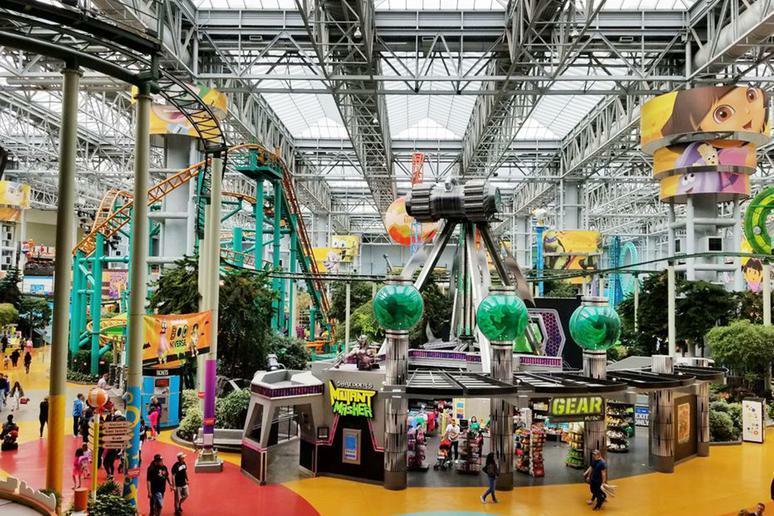 Most famous of MOA’s many amenities is Nickelodeon Universe, an amusement park with 27 rides and all sorts of kid-friendly events throughout the year featuring their favorite Nickelodeon characters. 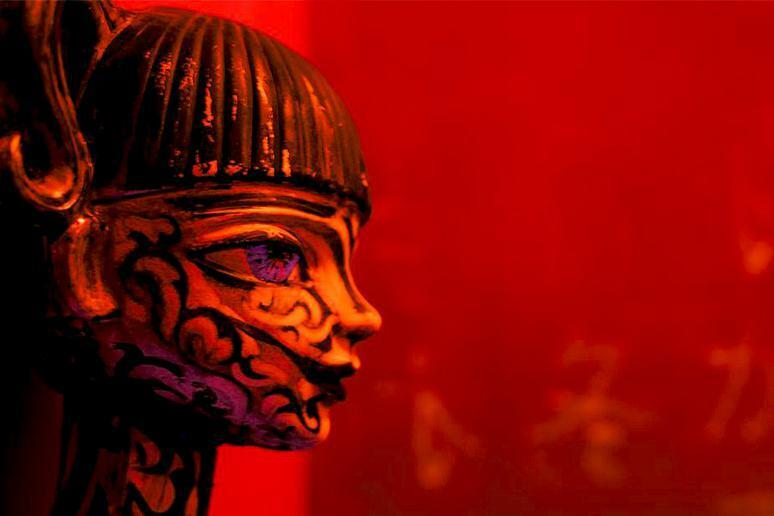 This marvelously creepy museum is one of the weirdest in the world, which definitely makes it worth the trip. Founder Marvin Yagoda began collecting coin-operated animatronic dummies and games, automata, and other odd things in 1960, finally opening up his collection to the public in 1990. Bring change, as most of the machines are still in working order, and have fun with the classic fortune teller machine, check out one of Sing Sing Prison’s original electric chairs, and enjoy the impressive collection of antique memorabilia throughout the museum. The best part is that admission is free. 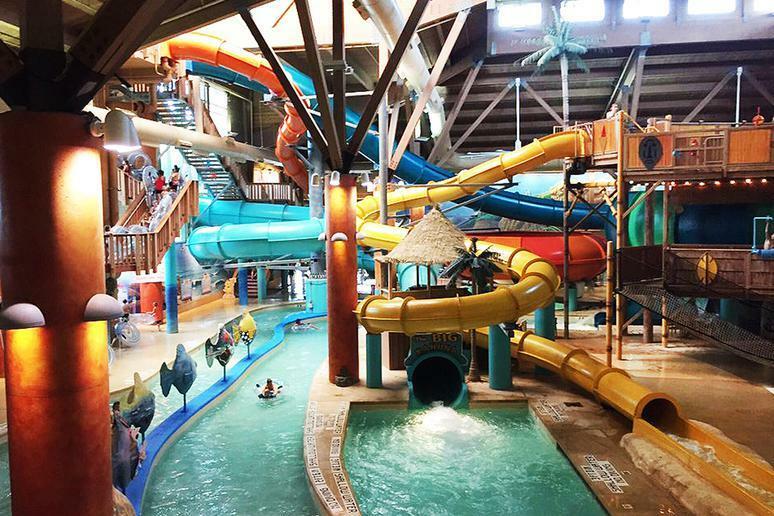 Another one of the best indoor water parks in North America is at Massanutten Resort, a popular ski resort in the Ridge-and-Valley Appalachians. The water here is always perfectly heated to 84 degrees Fahrenheit, and guests of all ages will enjoy their water slides, wave simulator, pools, lazy rivers, and hot tubs. The waterpark is surrounded by three floors of shops and restaurants, so there’s plenty to do if you don’t want to swim, including a full arcade. 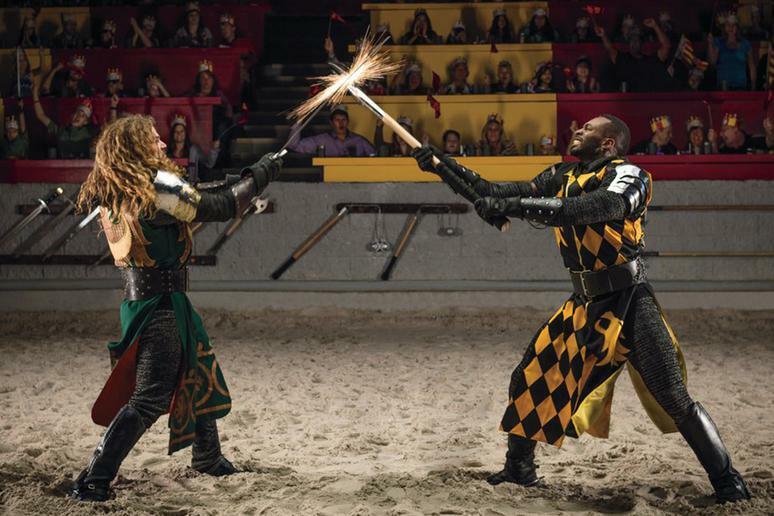 Enjoy dinner theater medieval-style at one of eight U.S. locations of Medieval Times, an amazing experience for people of all ages. Enjoy delicious Dark Ages-era food as you take in a show full of jousting, sword fighting, and medieval-style games and presided over by a king and his advisor — or possibly queen now, if you visit the New Jersey location! 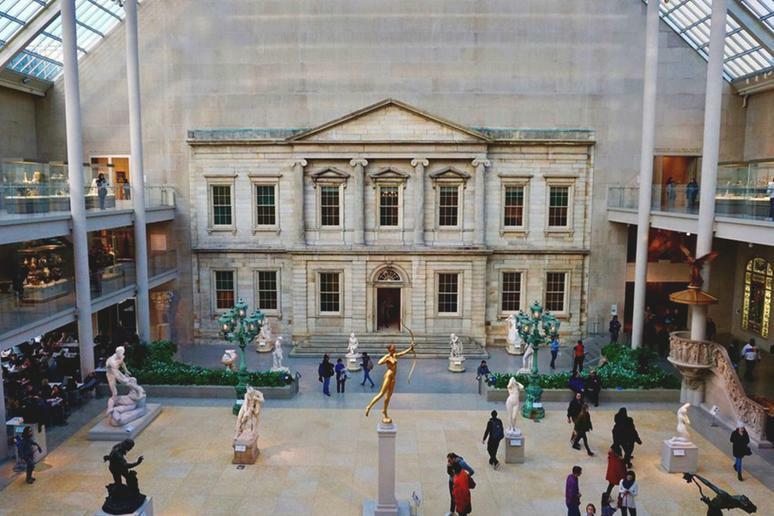 Often referred to simply as “the Met,” the Metropolitan Museum of Art is the largest art museum in America and the third most visited in the world, attracting more than 7 million visitors in the 2017-2018 fiscal year. 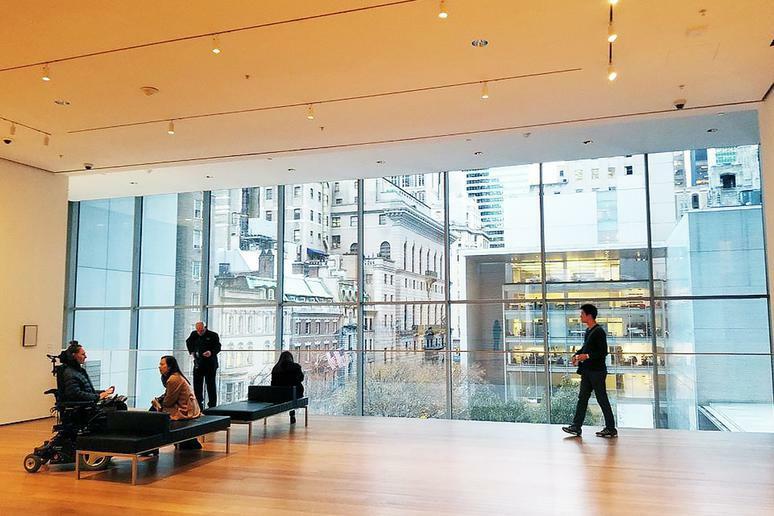 Between its 17 departments, its permanent collection is made up of more than 2 million works of art, with its main iconic location being in Manhattan’s Upper East Side. A definite bucket list attraction, its works include those by artist such as Caravaggio, Edward Degas, El Greco, Jan van Eyck, Claude Monet, Pablo Picasso, Vincent Van Gogh and more. 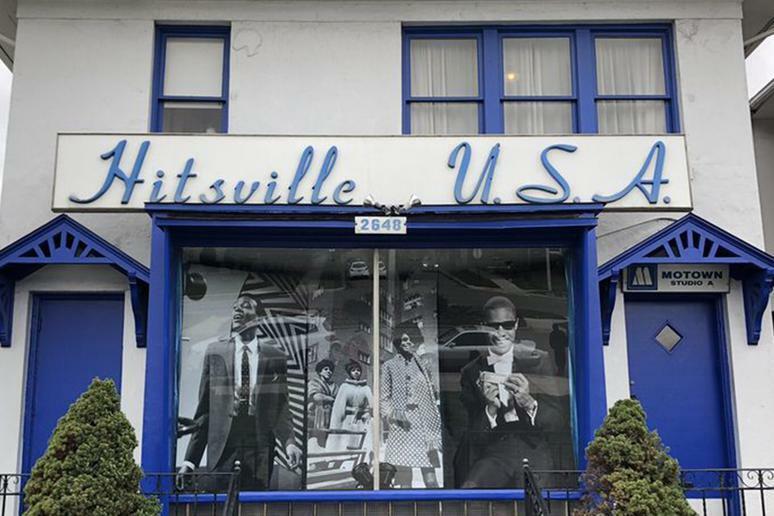 You can’t visit Motown without visiting the Motown Museum, a fine destination dedicated to Motown Records, its artists, and the music it pioneered. Check out Michael Jackson’s black fedora and studded white glove among other costumes, photographs, and records from the label’s peak period, and buy some gear of your own. The Museum of Bad Art is the only museum in the world dedicated to, well, bad art. The museum’s collection consists of more than 700 pieces salvaged from thrift stores, curbsides, and dumpsters — all original artworks and created with sincere incent. In the words of co-founder Marie Jackson, the museum’s purpose is “to celebrate an artist’s right to fail, gloriously.” Currently located in the basement of the Somerville Theater in Davis Square (after a series of unfortunate events caused the other branches to shut down), about 20 to 25 pieces are on display to the public at a time, each with a written interpretation alongside it. The gallery is currently closed due to ongoing building renovations but expected to re-open once they are completed. Midtown Manhattan’s Museum of Modern Art, also referred to as the MoMA, is one of the biggest and most influential modern art museums in the world. Its collection of modern and contemporary art consists of works of architecture and design, films, books, drawings, electronic media, film, paintings, photography, prints, sculptures and more. It’s notable for being home to iconic art works such as Vincent Van Gogh’s ”Starry Night,” Pablo Picasso’s ”Les Demoiselles d’Avignon,” Salvador Dalí’s ”The Persistence of Memory,” and Andrew Wyeth’s ”Christina’s World,” among many others. The Museum of Pop Culture, or MoPOP, is a nonprofit museum that celebrates the importance and history of pop culture with exhibits that cover movies, video games, literature, and more. Get hands-on with interactive activities such as Sound Lab and On Stage where you can play with instruments and perform before a virtual audience. 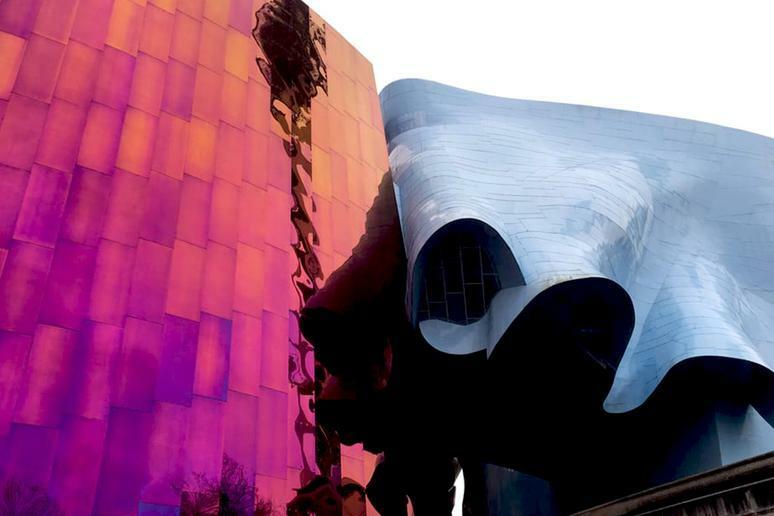 The museum is also home to all kinds of music-related artifacts such as personal instruments, hand-written lyrics, and more from Seattle musicians such as Jimi Hendrix and Nirvana. MoPOP also has educational resources such as workshops and outreach programs to encourage creativity among youth and aspiring artists and writers. 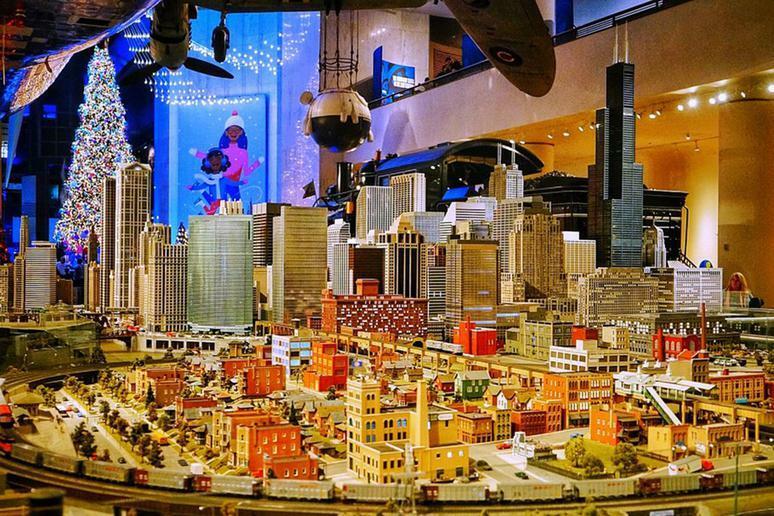 Located in Chicago’s Hyde Park neighborhood, the Museum of Science and Industry has more than 2,000 exhibits, most notably of the German submarine U-505, which was captured during World War II, the command module of Apollo 8, and Pioneer Zephyr, the first diesel-powered streamlined stainless-steel passenger train. 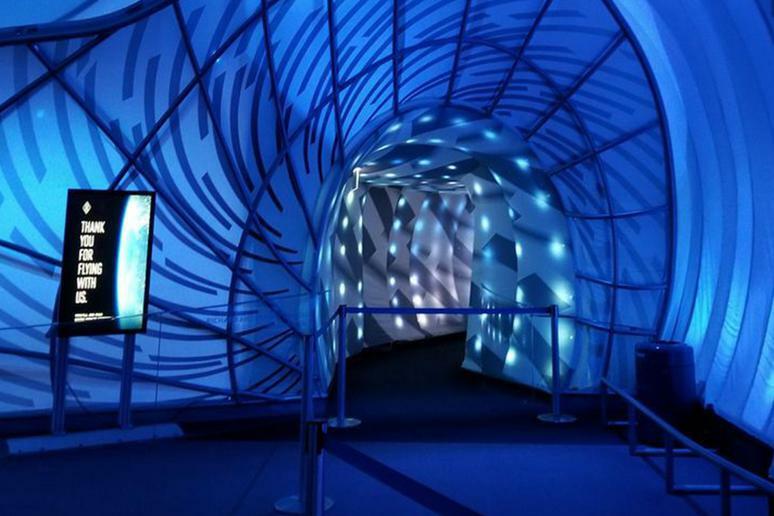 The hands-on nature of its many interactive exhibits and simulations are meant to encourage curiosity about science and technology as well as creativity for innovation. 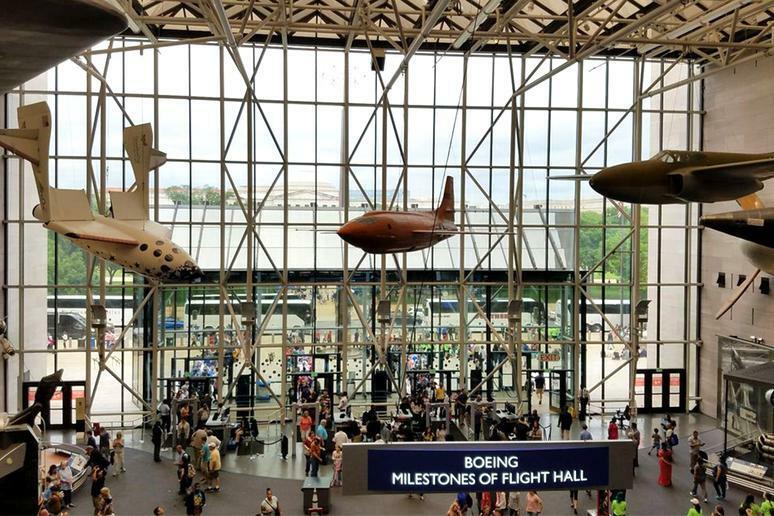 The Smithsonian’s National Air and Space Museum in Washington, D.C. is the most popular museum in the United States — and the third most visited in the world — with an average of 9 million people visiting it every year. A museum and research center dedicated to the science and history of aviation, spaceflight, planetary science, and terrestrial geology and geophysics, NASM has all sorts of space and aircraft of great significance on display. As soon as you walk in, you’ll see the Wright brothers’ plane, and other notable displays throughout the museum include the plane Charles Lindbergh flew for the first solo nonstop transatlantic flight, the first manned aircraft to break the sound barrier, the first aircraft to orbit the Earth, and the command module for Apollo 11, the landmark flight during which Neil Armstrong and Buzz Aldrin first stepped onto the moon. 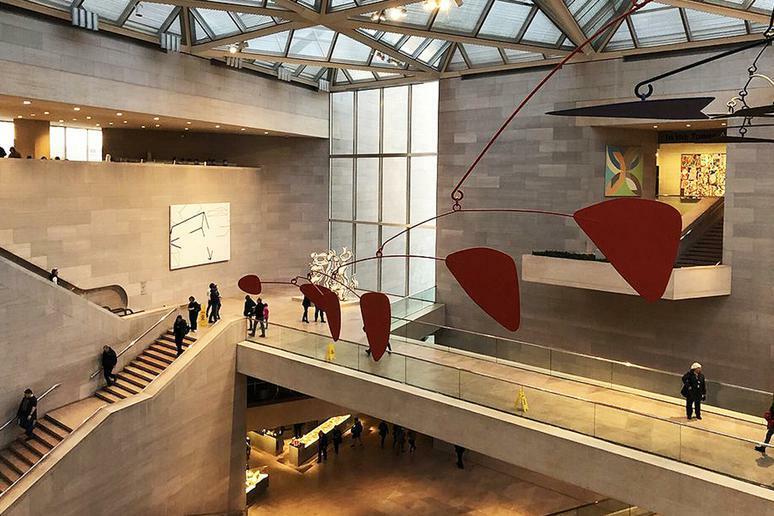 Located on the National Mall in the nation’s capital, the National Gallery of Art is a national art museum that’s free and open to the public. It’s home to many major works of art with pieces by the likes of Rembrandt, Vincent Van Gogh, Claude Monet, Jackson Pollack, Roy Lichenstein, Andy Warhol, Mary Cassatt and Raphael, and it hosts the only painting by Leonardo da Vinci in the Americas. The museum itself is a work of art too; the West Building was designed by John Russell Pope in the neoclassical style, while the modern East Building is the work of I.M. Pei. Another Smithsonian museum, the National Museum of Natural History is free and open every day except for Christmas and hosts over 7 million visitors annually, making it the most visited natural history museum in the world. Its collections hold more than 126 million specimens of all sorts of animals, fossils, human remains, meteorites, minerals, plants, rocks, and cultural artifacts, and the 185 scientists who work there form the largest group of scientists dedicated to the study and research of natural and cultural history in the world. 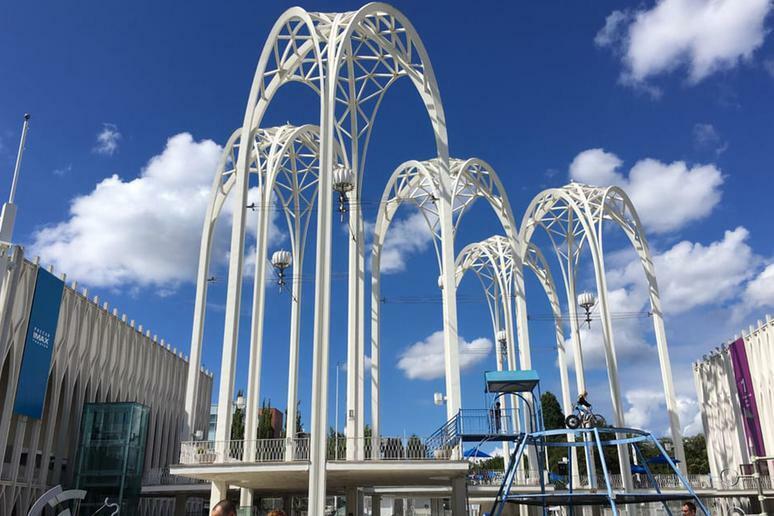 Located right next to Seattle Center, the Pacific Science Center is a nonprofit science center meant to encourage a curiosity and passion for science. Enjoy hands-on exhibits and learn from educators about all sorts of topics related to nature and the universe around us. 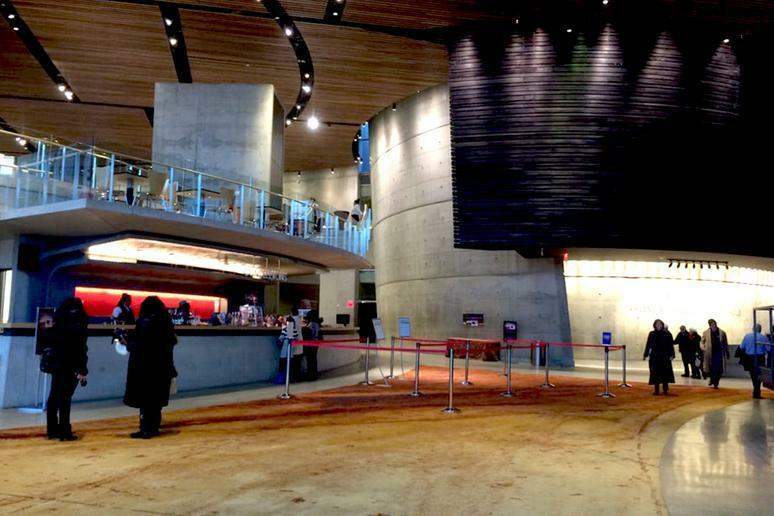 Permanent exhibits include a planetarium, tropical butterfly house, and IMAX theaters. Minneapolis native Prince remains a national icon, and fans and music lovers alike can pay tribute to him at Paisley Park, his home and recording complex which was turned into a museum in 2016. Tour the studios where he recorded, mixed, and produced some his biggest smash hits, as well as the soundstage where he held many rehearsals and held exclusive shows, after which you can eat at the vegetarian Paisley Park Kitchen. 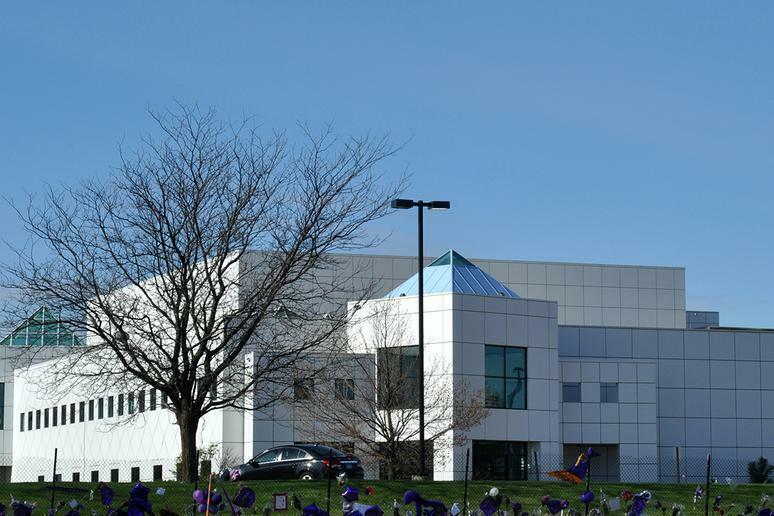 Thousands of Prince’s personal items, such as his artwork, awards, musical instruments, wardrobe, and rare music video recordings, are on display, and his ashes can be seen in the main entrance, held in an urn shaped like Paisley Park itself. 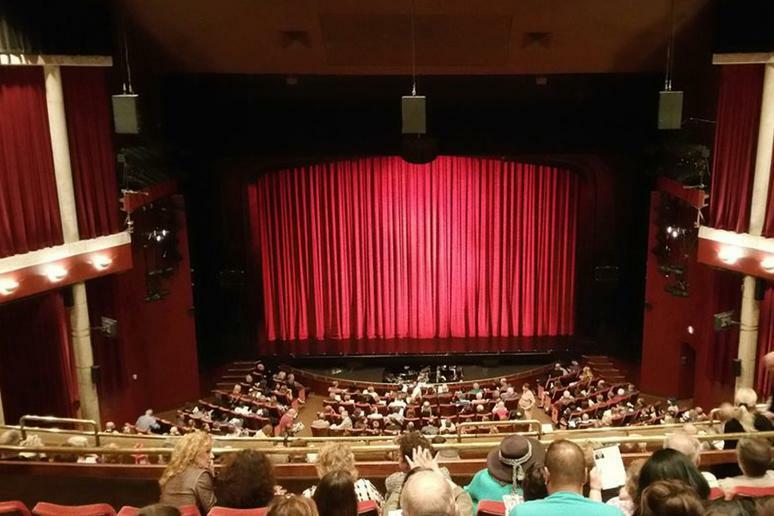 The officially designated state theater of New Jersey, Paper Mill Playhouse is an award-winning regional theater that has had many great talents grace its stage, such as Liza Minnelli, Patrick Swayze, Anne Hathaway, Kristin Chenoweth, Bernadette Peters, and Nick Jonas, among many others. Enjoy revivals of popular plays, as well as original stories on stage. Paper Mill Playhouse is especially known for its autism-friendly performances, during which the typical theater environment and rules are relaxed in order to accommodate theatergoers with autism and other developmental disabilities along with their families. 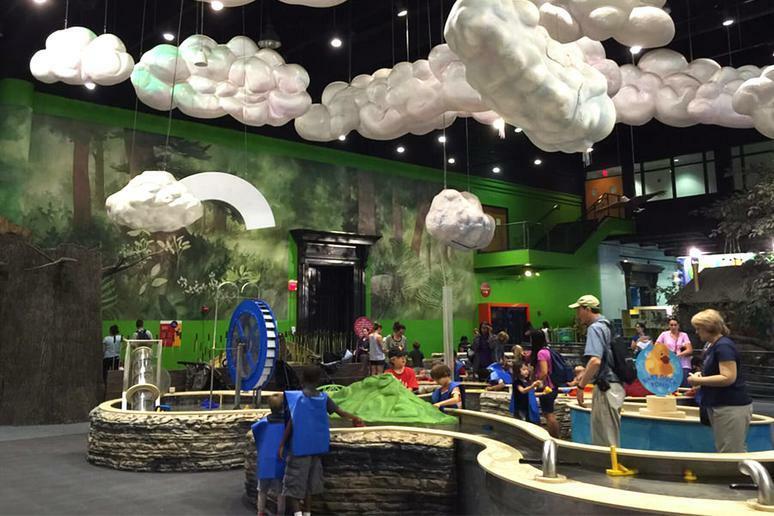 Geared towards children under the age of 8, the Please Touch Museum in Philadelphia encourages learning through touch and play, with exhibits on trains, planes, and automobiles, as well as an area dedicated to the world of Alice in Wonderland and a Fairytale Garden. 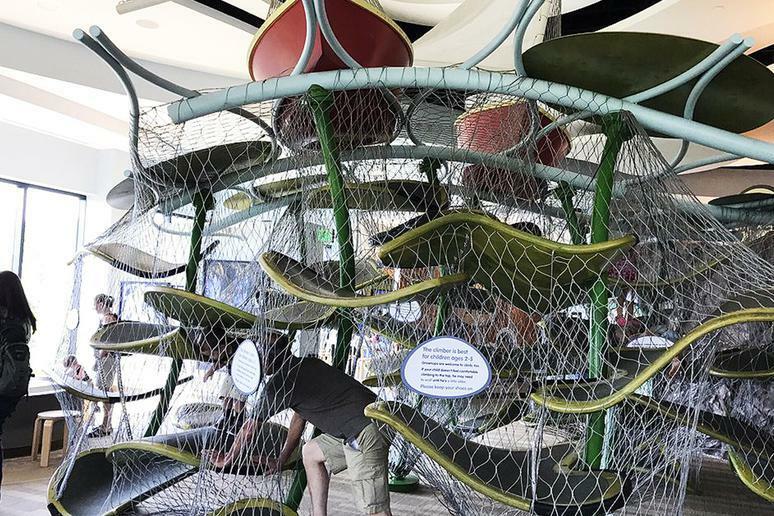 At this highly interactive museum, kids and their families can ride on a restored carousel and explore everything from the rainforests to outer space in order to broaden their knowledge and curiosity. 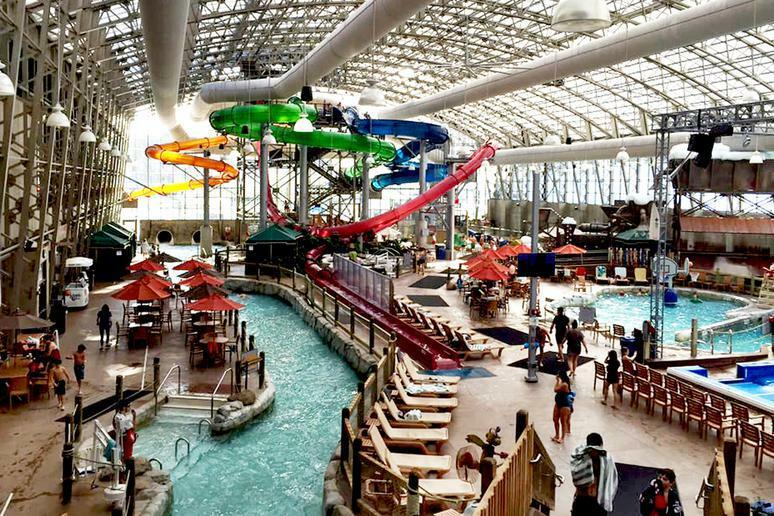 Located within Jay Peak Resort, the Pump House Indoor Waterpark is a great way to enjoy Mount Mansfield — Vermont's highest peak — without having to be out in the cold. 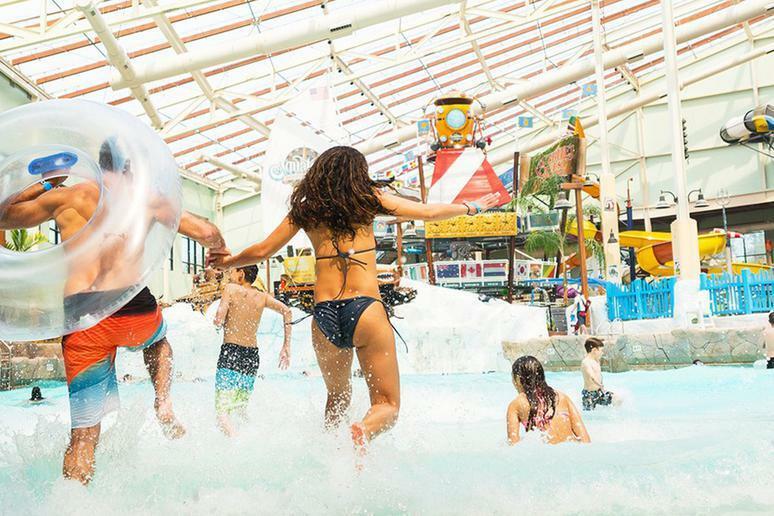 Speed down a waterslide, climb up the rocks of the activity pool, shoot hoops in the water, or take on the wave simulator with your surfing skills. The waterpark also has an arcade and snack bar for when you’re looking to dry off. Enjoy a climate-controlled, European-style asphalt track that you can speed along with the ensured protection of state-of-the-art safety barriers. 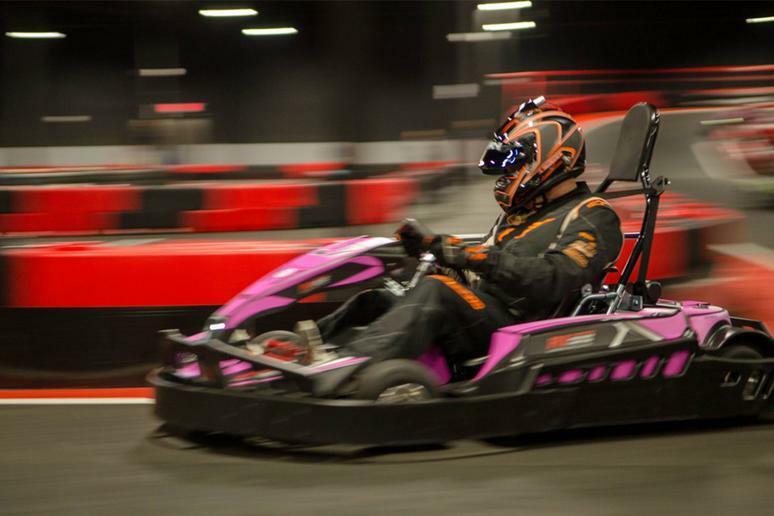 Using brand-new electric carts — meaning no gas fumes — R1 Indoor Karting provides the ultimate go-karting experience thanks to its custom-designed track, which includes sharp turns, fast straightaways, and even an overpass. 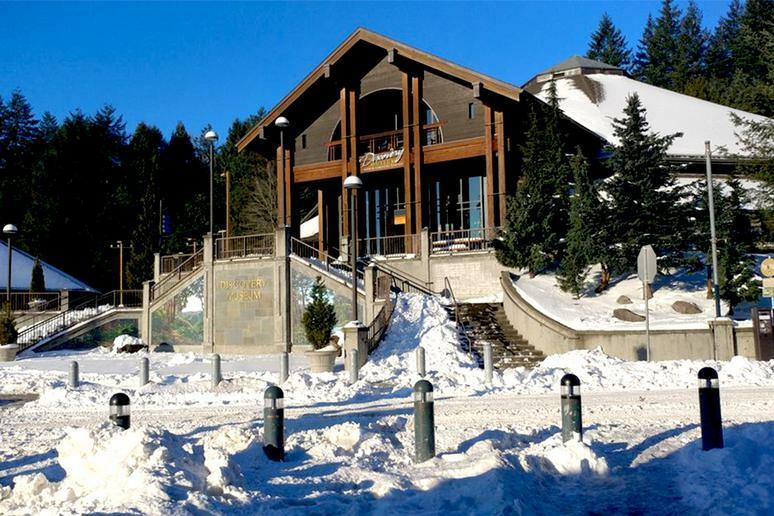 Get your ride times and receive a detailed report of your performance, and afterwards, check out the venue’s restaurant and bowling and billiards area. With one of the best boardwalks in the country, Myrtle Beach doesn’t have to fall off your travel list in the off season. 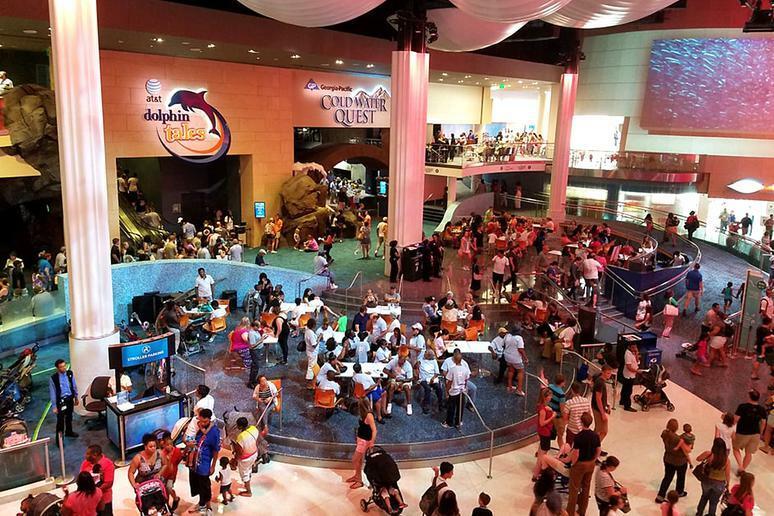 Take a trip to Ripley’s Aquarium, where you’ll find 85,000 square feet full of educational exhibits on marine life, as well as interactive areas and interesting videos. 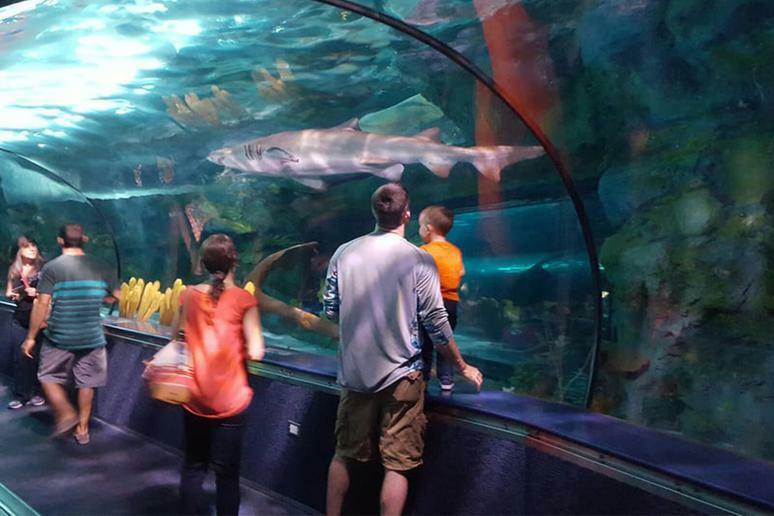 Great for all ages, Ripley’s Aquarium of Myrtle Beach is home to almost 10,000 exotic aquatic creatures representing more than 350 species from all over the world. 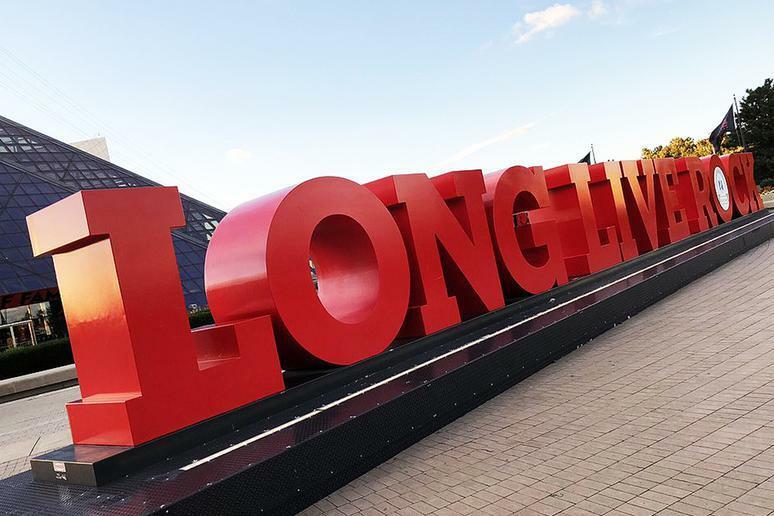 Honoring and chronicling the history and achievements of the artists, producers, engineers, and others who influenced rock and roll most, the Rock and Roll Hall of Fame is a fascinating stop for any music-lover. Learn about the history of the genre as a whole, in addition to seeing the exhibit honoring the hall’s famous inductees. The museum’s exhibits go over the genres that influenced rock and roll, as well as the cities that had the biggest influence in its development. In addition to the many exhibits, the hall also has two theaters, one of which features a film about the origins of rock and roll while the other plays films on a variety of topics. Also on the premises are a café, a sound stage for musical performances and events, and interactive kiosks. 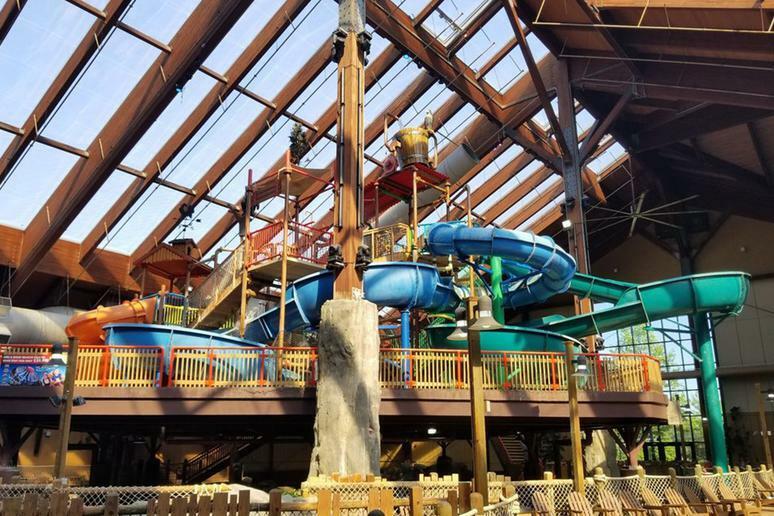 The first free-standing indoor waterpark in the state, Sahara Sam’s Oasis consists of almost 60,000 square feet of water attractions and arcade games. Enjoy tube slides, a family raft ride, a surfing simulator, a lazy river and more, as well as a full-service café, an adults-only bar and even a 3,000-square-foot arcade. 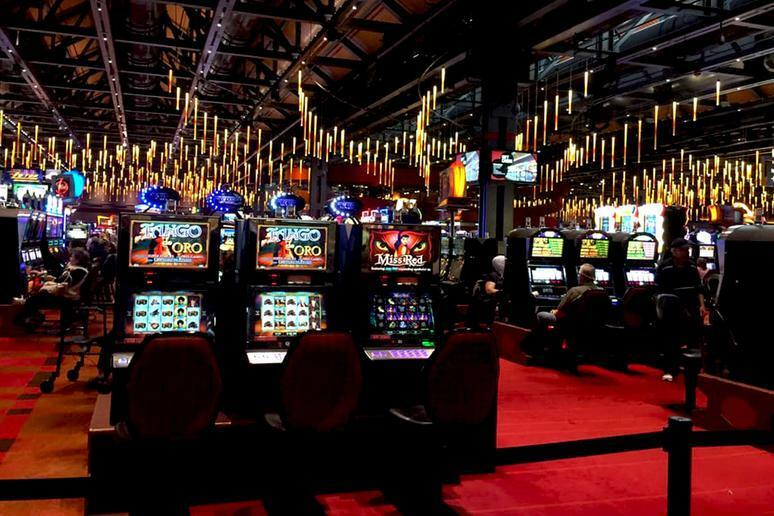 Located in the Lehigh Valley region, technically part of the New York City metropolitan area, this East Coast iteration of the famous Las Vegas casino resort has more than 3,000 slot machines and 200 table games, as well as many different electronic table games. In addition to a lounge and a bar, the casino also has multiple restaurants, including three by celebrity chef Emeril Lagasse. Connecting the casino and hotel is an indoor shopping mall that also has a food court in addition to over 30 brand name stores. 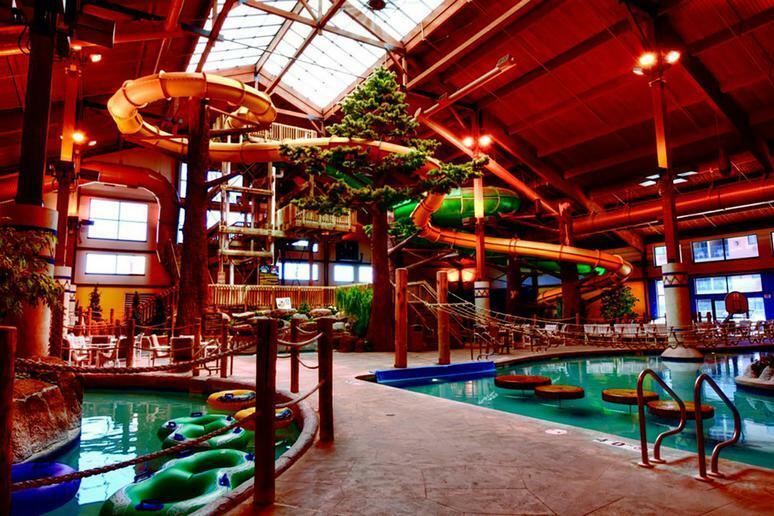 Silver Rapids Indoor Waterpark at Silver Mountain Resort is the largest indoor waterpark in the state, with all the best ways to relax if you don’t feel like freezing on the slopes. Try out the Flow Rider surfing waves, moving at 35 miles per hour, or go on Moose Sluice, a rafting ride with an intense waterslide. Shoot hoops in a warm pool or relax in their Warm Springs or on the North Fork Lazy River. A fantastic destination for those who love all the flags and fun of Six Flags but wish to still stay indoors, Six Flags Great Escape Lodge and its waterpark, White Water Bay, are located just 10 minutes from Lake George. Open year-round and with a consistent 82 degree temperature inside, the park is full of great water slides, curves and tunnels you can barrel down on a tube, a lazy river you can float along lazily instead, a whitewater rafting experience, and more. 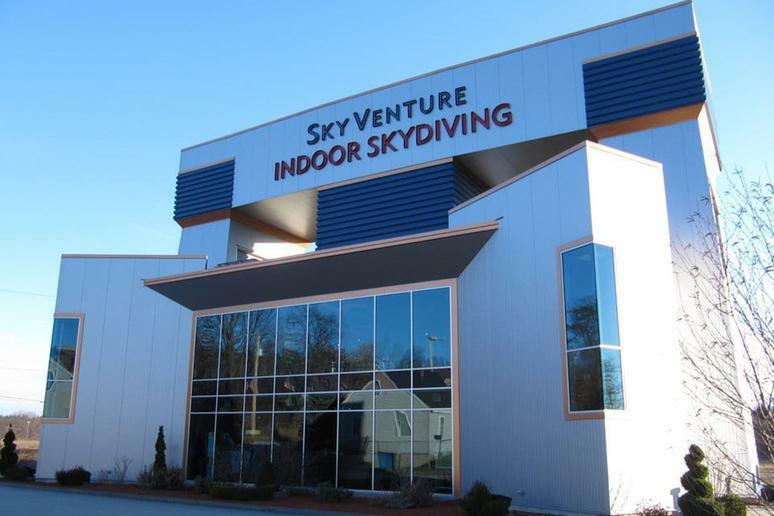 You’ll find both indoor skydiving and surfing at this at this adrenaline-fueled attraction in southern New Hampshire. If you have a fear of heights, you won’t have to worry as you float above a trampoline floor, and those looking to try surfing for the first time have a great opportunity with SurfStream, the first standing wave machine with seven different types of waves people of any skill set can enjoy. Try out their Fishpipe, a water ride that makes you feel a bit like a hamster in a ball as you run in the bottom of a barrel that rotates around you with one or two other riders. SkyVenture also has a 24-foot rock climbing wall with a route for beginners, intermediate climbers, as well as experts. 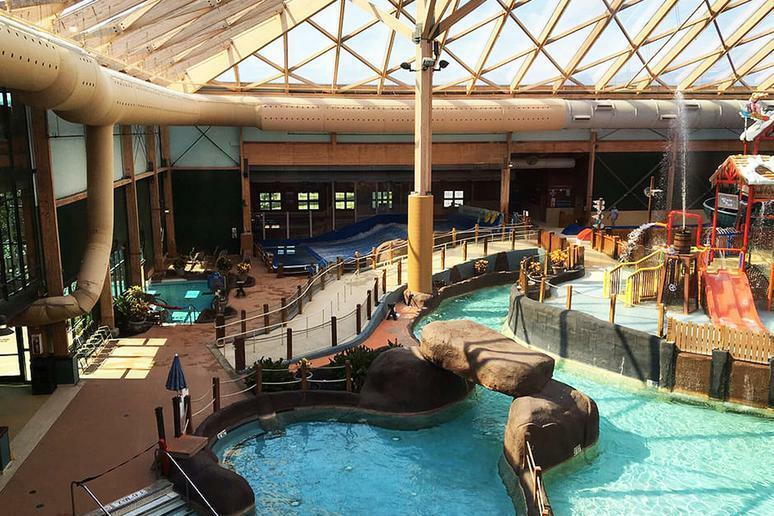 With a Polynesian theme and 80,000 square feet, Splash Lagoon has seven water slides, a big activity pool, wave pool, ropes course, children’s area, and two hot tubs, plus more. 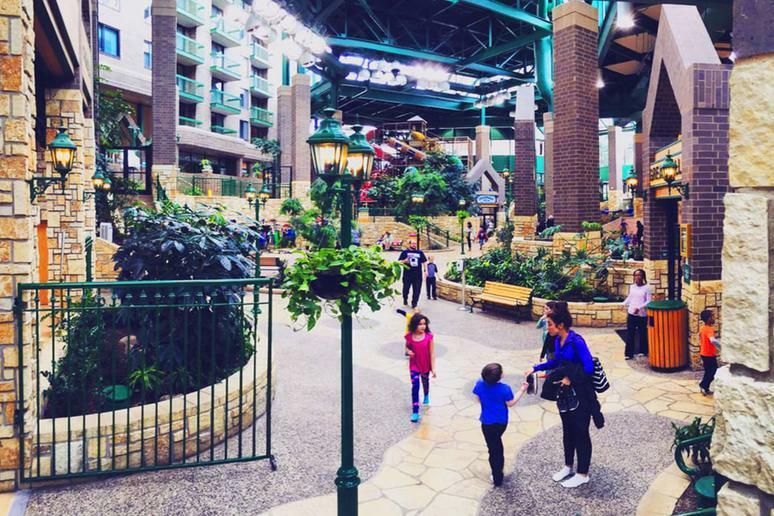 When you’re looking to dry off, check out the 6,500-square-foot arcade or play laser tag. Book a one-bedroom suite at Timber Ridge Lodge and you’ll automatically receive four free water park passes (six if you book a two-bedroom) to Moose Mountain Falls. Slides 35 feet high up will take you down a 300-foot-long ride full of adrenaline-filled twists and turns, with you finally landing in a heated pool. Those looking for a bit more relaxation will find the park’s 500-foot lazy river suits their needs. 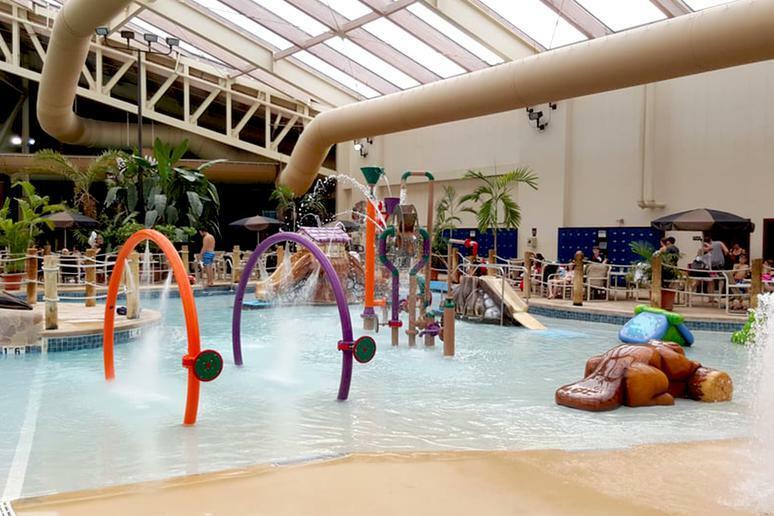 Located in Lake Geneva, the resort waterpark also has an activity pool for kids ages 7 to 10, as well as a safer water play area for tinier guests. 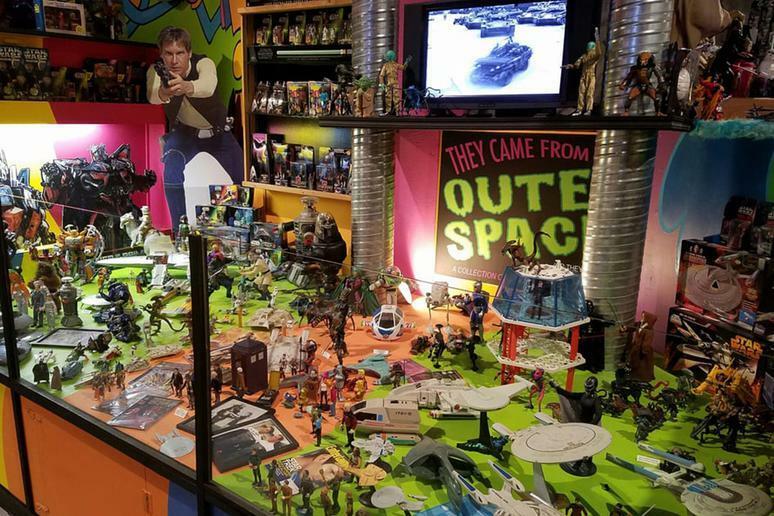 The first museum dedicated to the art and sculpting of action figures, the Toy & Action Figure Museum in south-central Oklahoma is a nonprofit operation that has won much regional acclaim and awards. More than 13,000 collectibles are on display, many in their original packing, and the museum also has a playroom where both kids and adults can put on costumes and pretend to be their favorite superheroes or play with bins full of action figures and toys. The best escape room game in Boston, Trapology is known for its seriously immersive and very challenging missions. From jail cells to camping tents to underwater submarines, you and your team have to use your best critical thinking skills and puzzle solving capabilities to escape before time runs out — and it should be noted that the founders of this company did so after being jaded by how easy other escape games are! There may be more to Atlantic City than just gambling, but most people come to this city for exactly that. In the winter time, you can’t enjoy the beach or boardwalk as much, but Tropicana is a casino hotel with a shopping and entertainment complex called The Quarter that’s 200,000 square feet. Home to more than 25 shops, 25 restaurants and 20 bars and lounges, as well as four pools an IMAX theater, spa, and more, Tropicana recently got done with a $200 million renovation that attended a light and sound show, fitness center, more restaurants, and a renovated casino floor. The casino itself has more than 2,400 slot machines and more than 132 table games, and hosts daily poker tournaments as well. 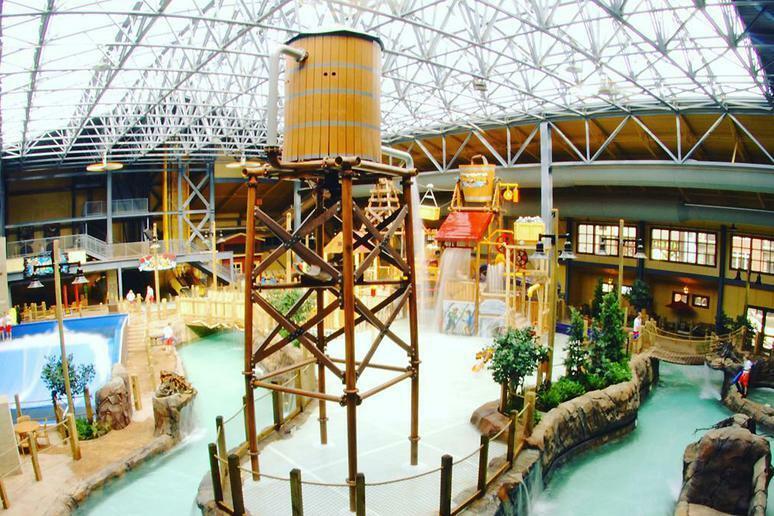 The largest waterpark resort in America, Wilderness Resort has four indoor and four outdoor waterparks. Klondike Kavern Waterpark, consisting of 65,000 square feet of water slides and rides, as well a lazy river. Wild Waterdome Waterpark is a 75,000-square-foot oasis with see-through roof that gives you natural sunlight as you enjoy raft rides, a swim-up bar, and the country’s largest indoor wave pool. The resort also has Wild West Waterpark — the biggest of the four with thrill rides, bumper boats, and an indoor hot spa — and Cubby’s Cove Indoor Waterpark, home to a sports pool featuring basketball hoops and a rope challenge, as well as a play area for younger children and yet another indoor hot spa looking over Lake Delton. 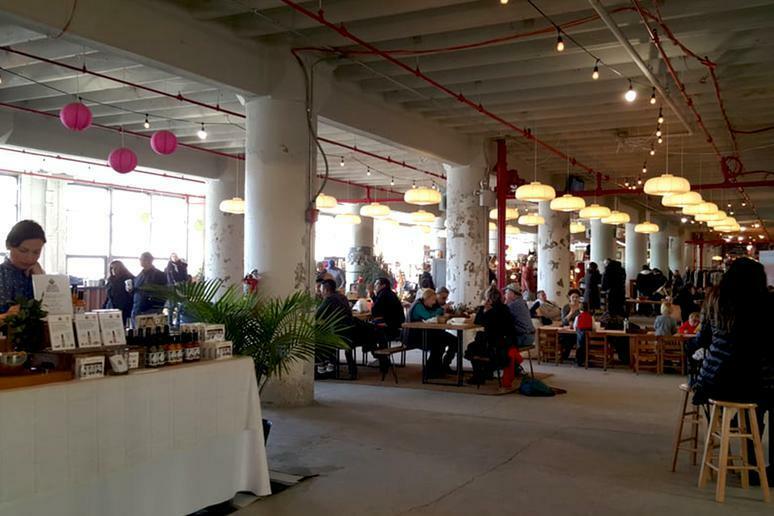 Smorgasburg goes indoors for the cold season, offering up about 25 food vendors with cuisine from around the world for patrons to enjoy. The accompanying Brooklyn Flea Market also has 25 vendors selling all kinds of eclectic clothing, home goods, furniture, accessories, and other goods. Open only on Saturdays and Sundays, the food fest will stay indoors until March. The food market is also now collaborating with Vice for a Night Market on Friday nights in winter, when they will provide about 15 food vendors for guests to enjoy along with music and programming provided by Vice. 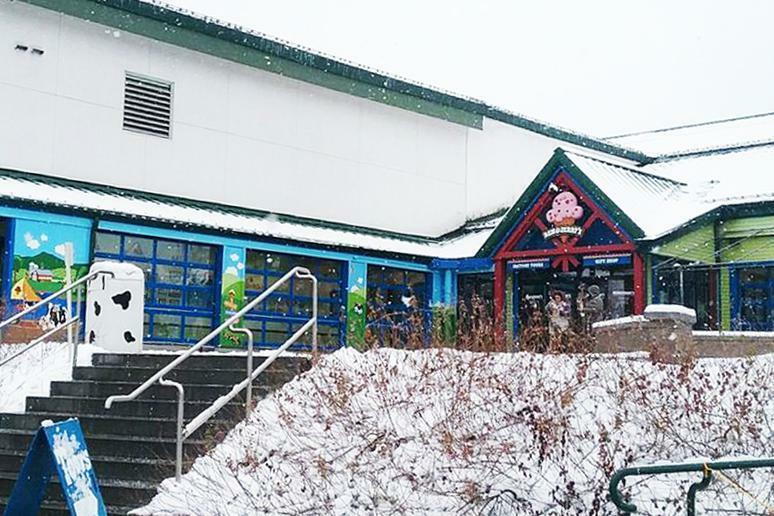 Not far from the Oregon Zoo, the World Forestry Center is a nonprofit educational center dedicated to raising awareness and education about world’s trees and forests, particularly their importance to humans and the environment in order to work towards a more eco-conscious and sustainable society. Different exhibits show you what the forest looks like from a bird’s-eye view, let you observe the beauty of different types of wood, and take you on a wet-free raft ride, among other attractions. Learn about forestry and the people who work in it, discover how different regions around the world deal with their forests and what challenges are involved, and learn the benefits and importance of the spectacular forests around the world.